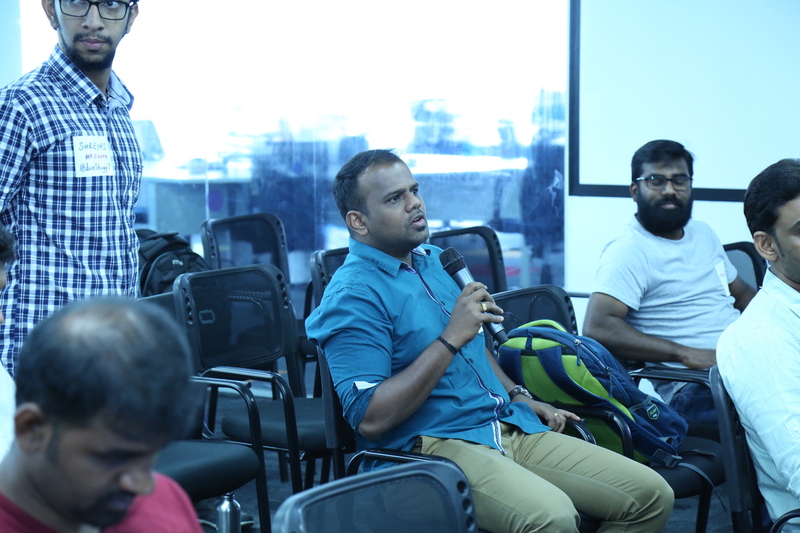 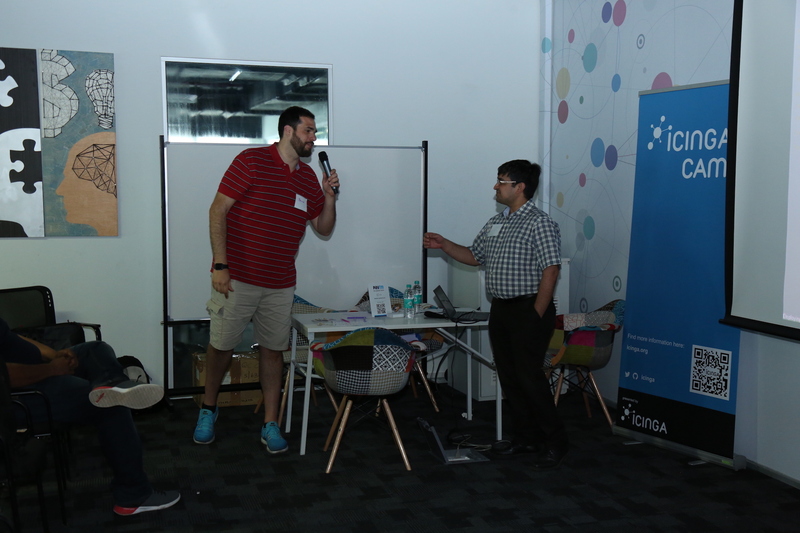 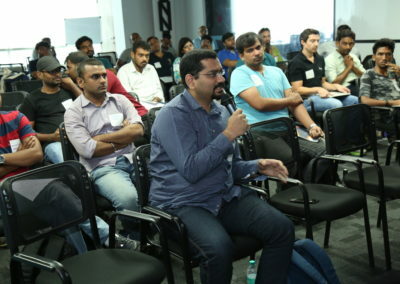 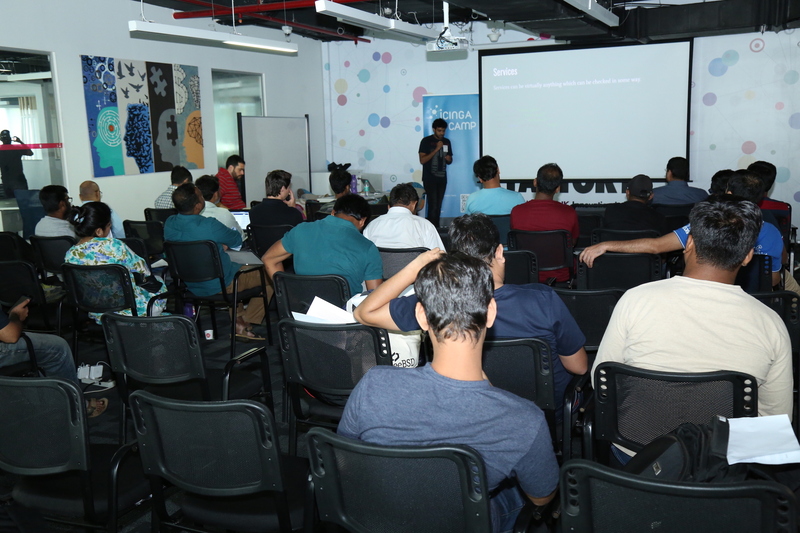 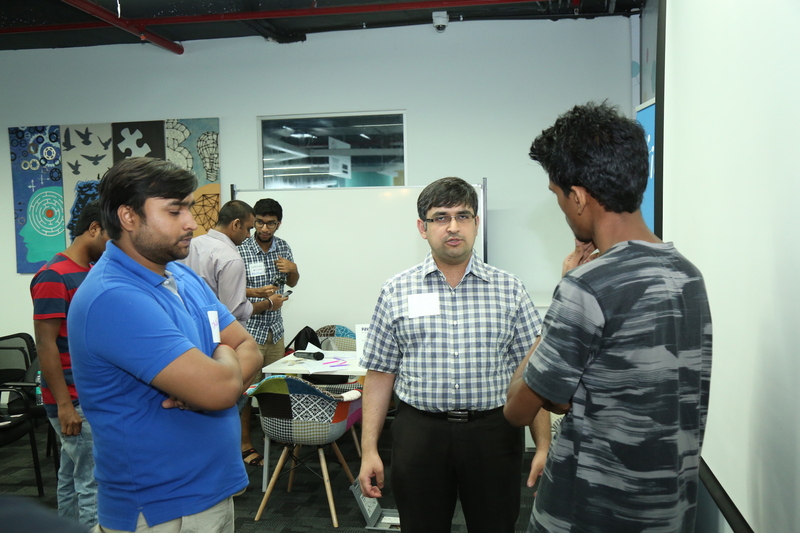 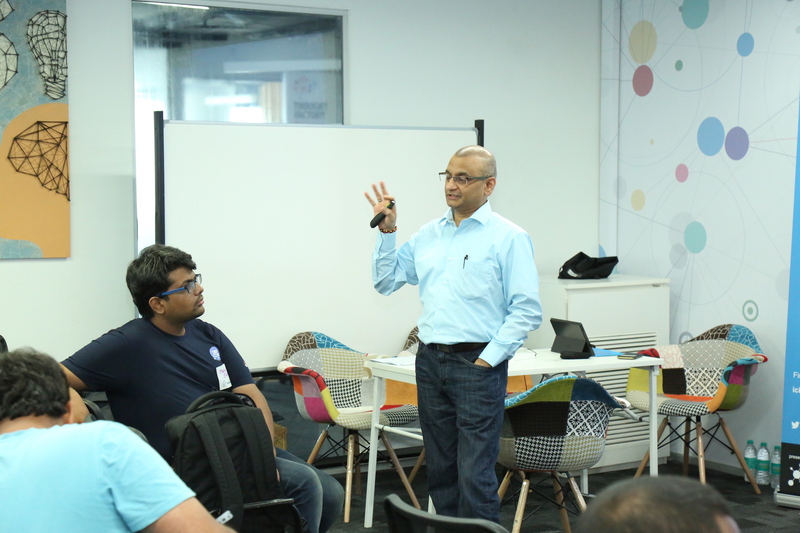 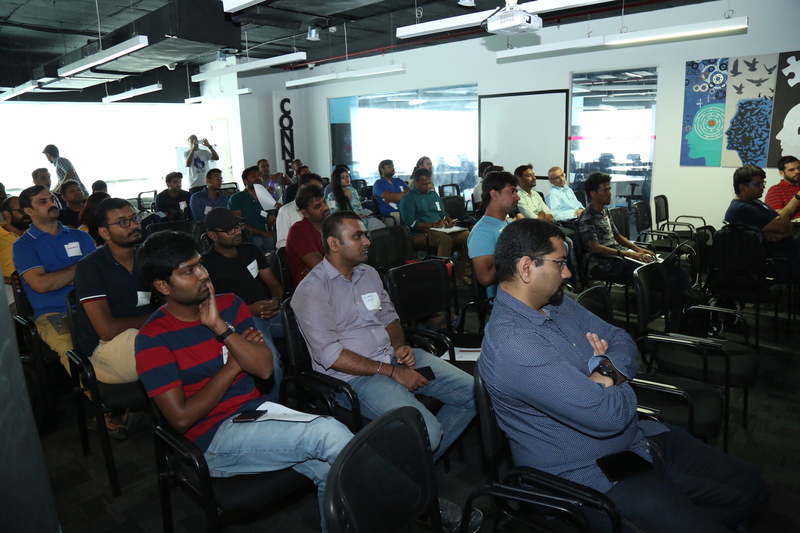 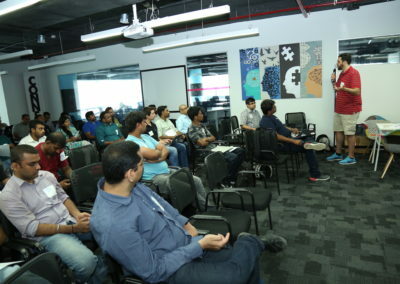 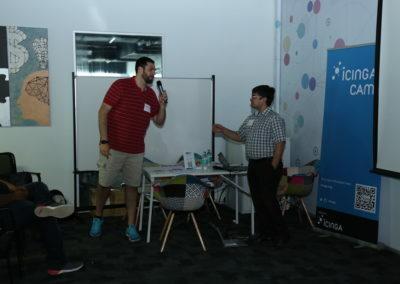 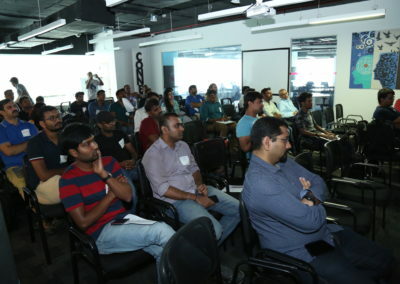 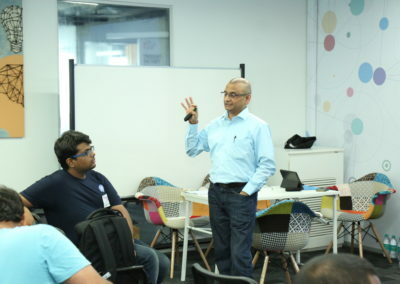 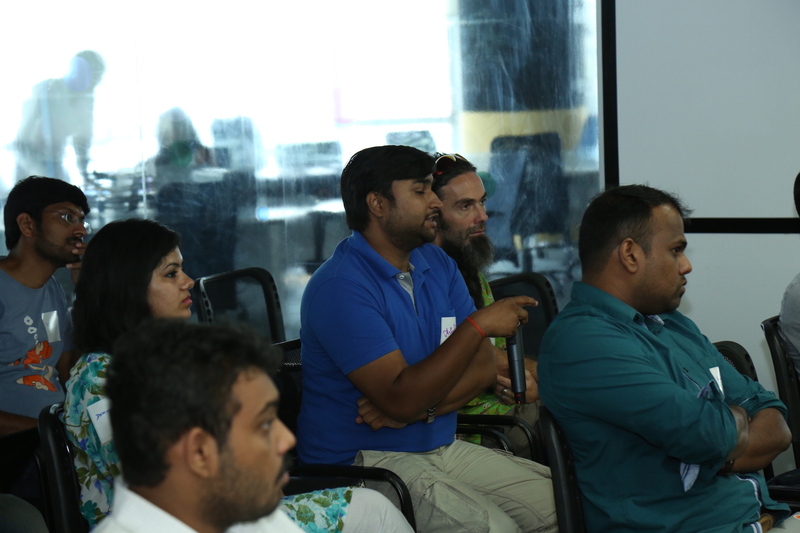 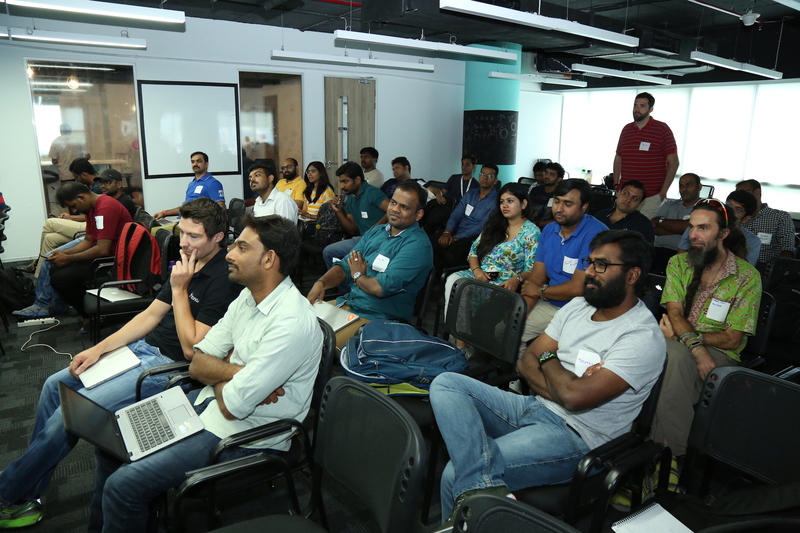 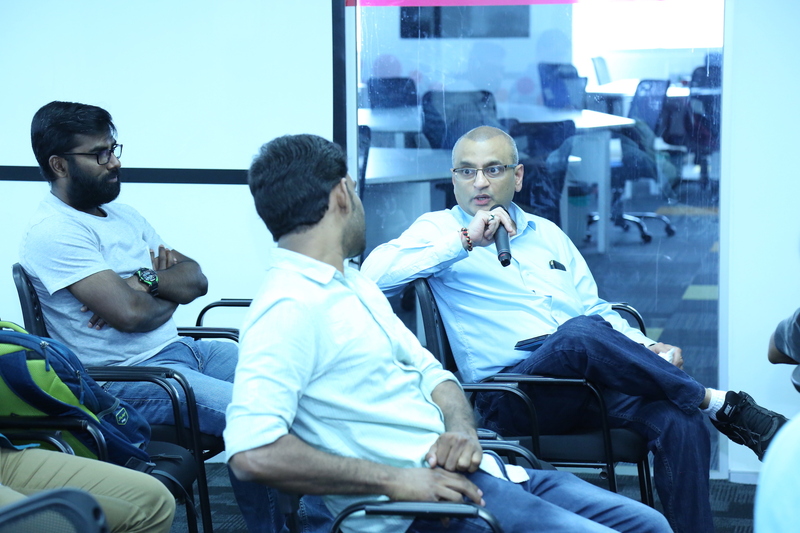 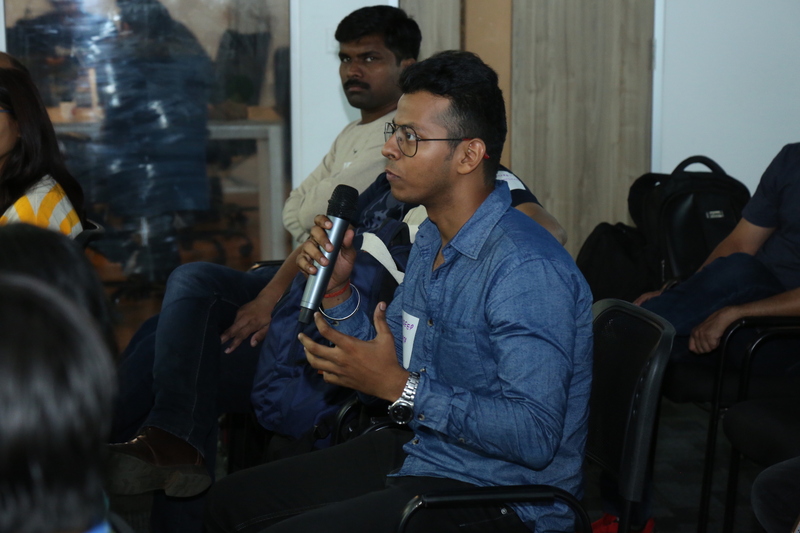 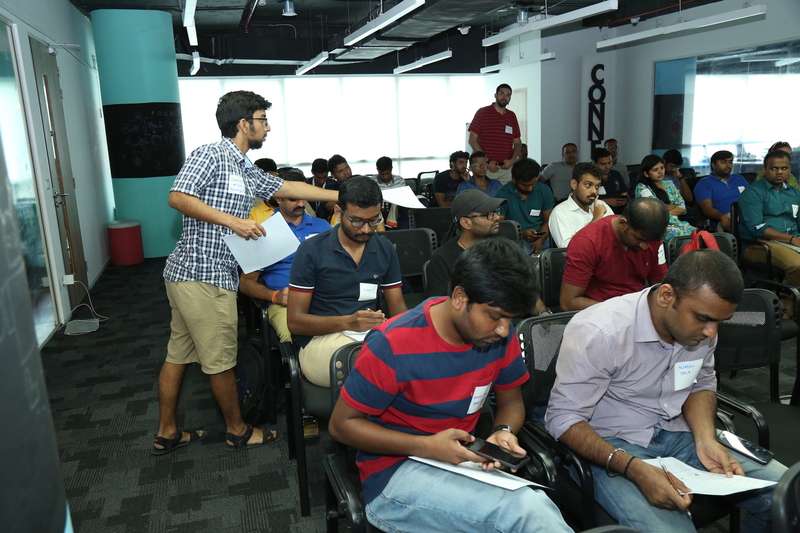 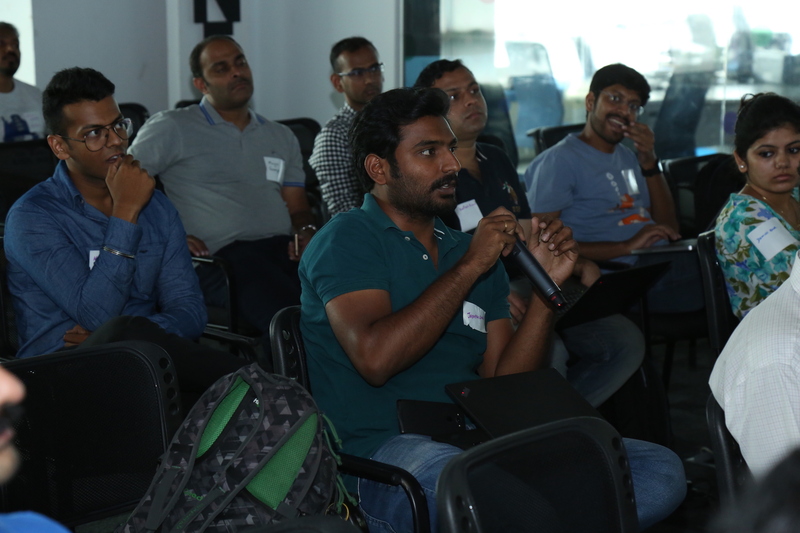 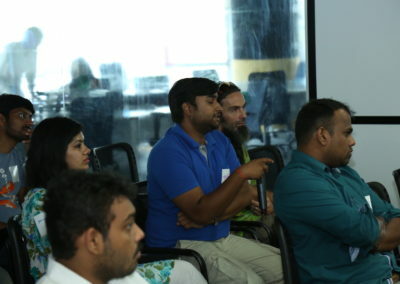 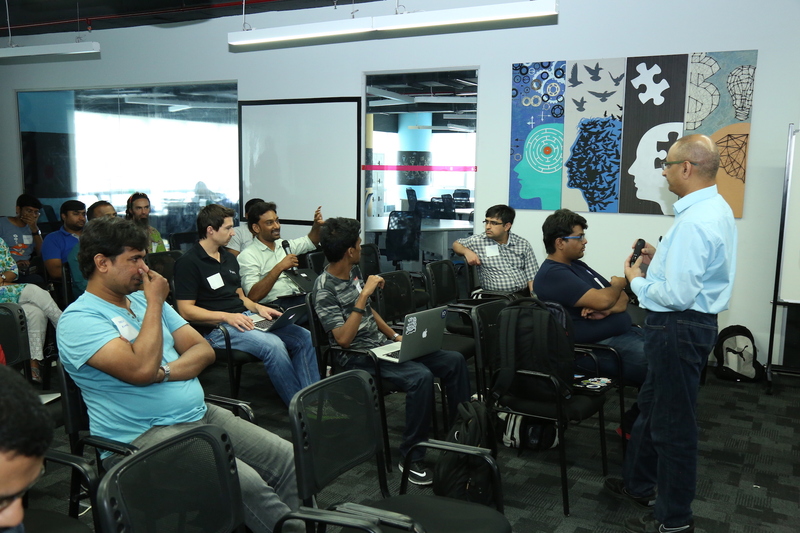 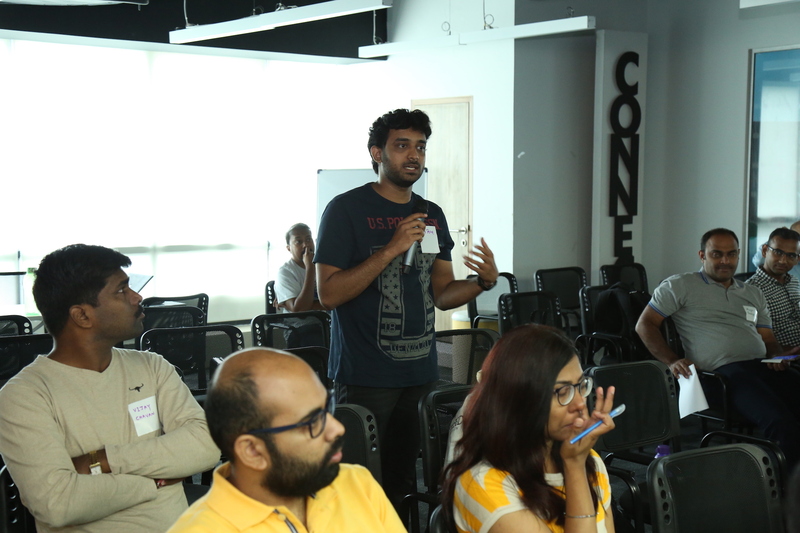 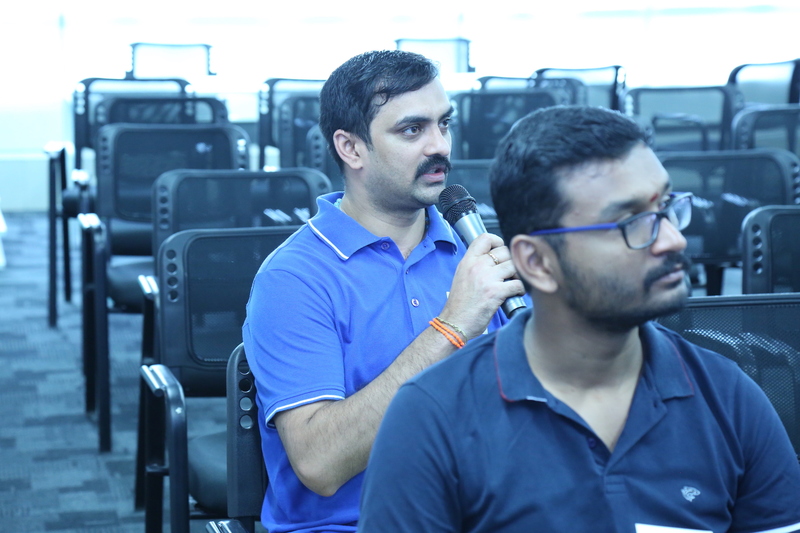 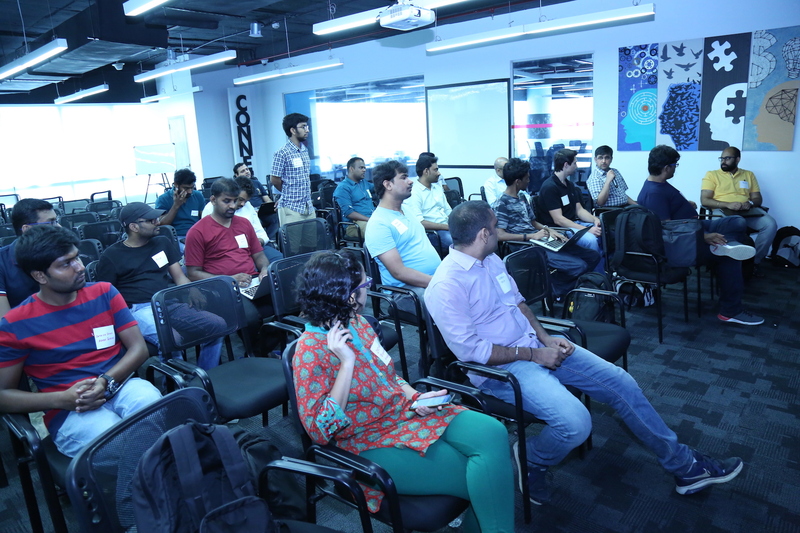 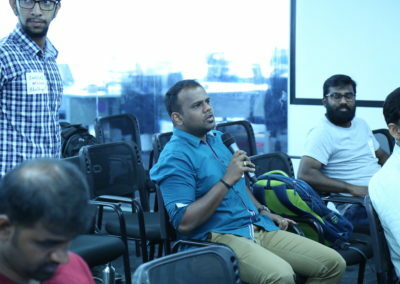 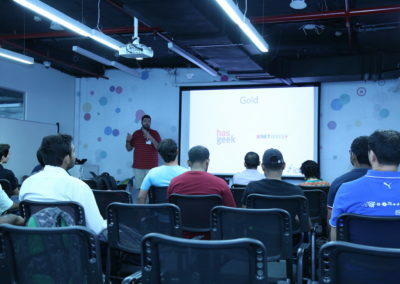 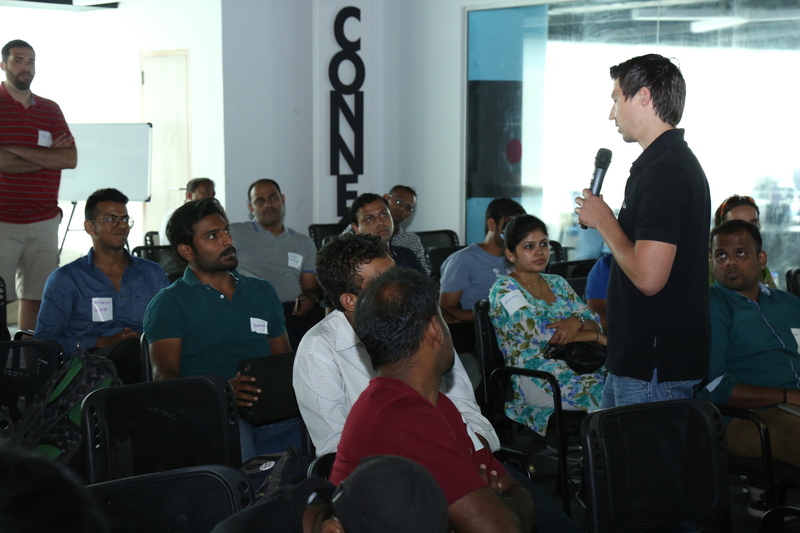 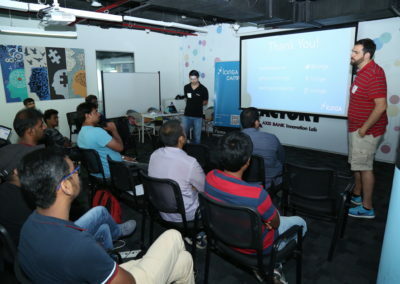 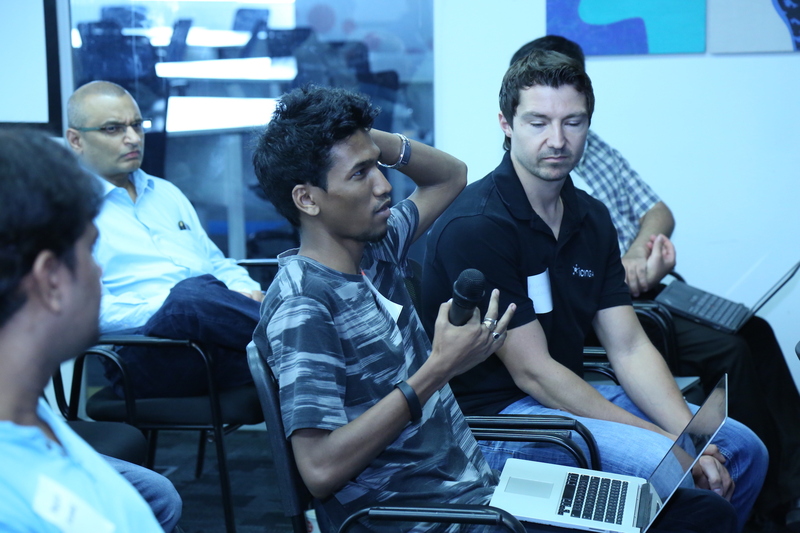 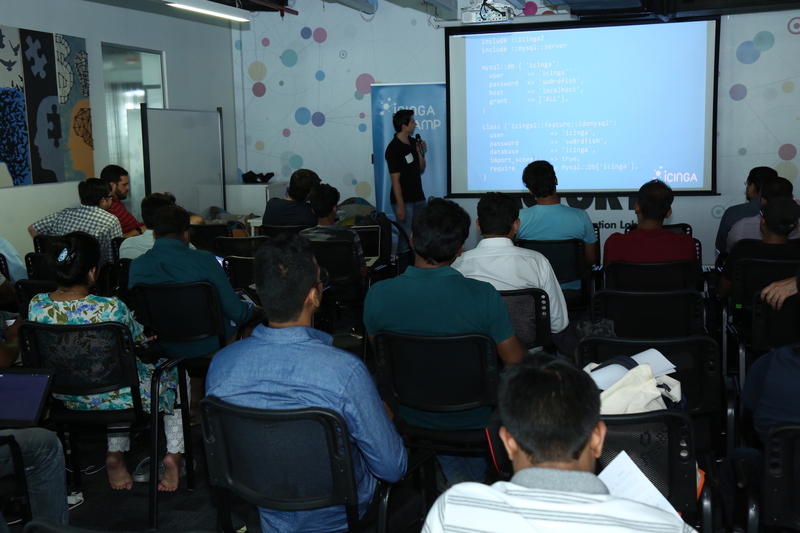 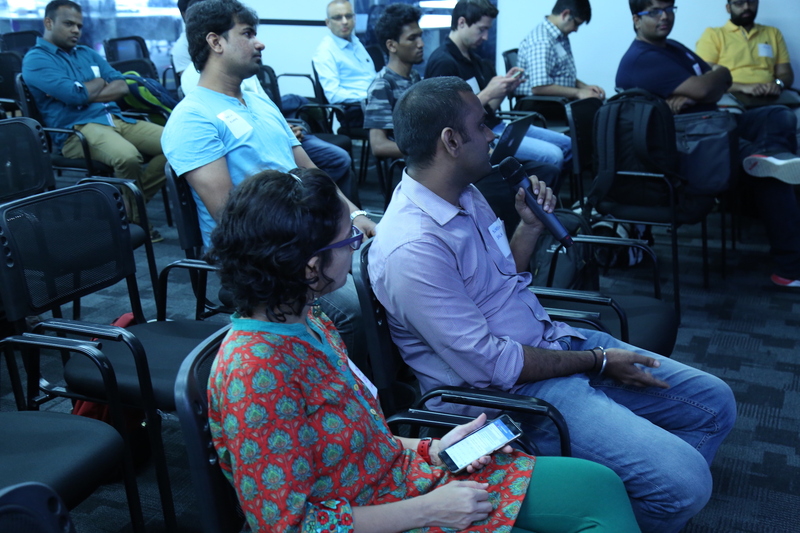 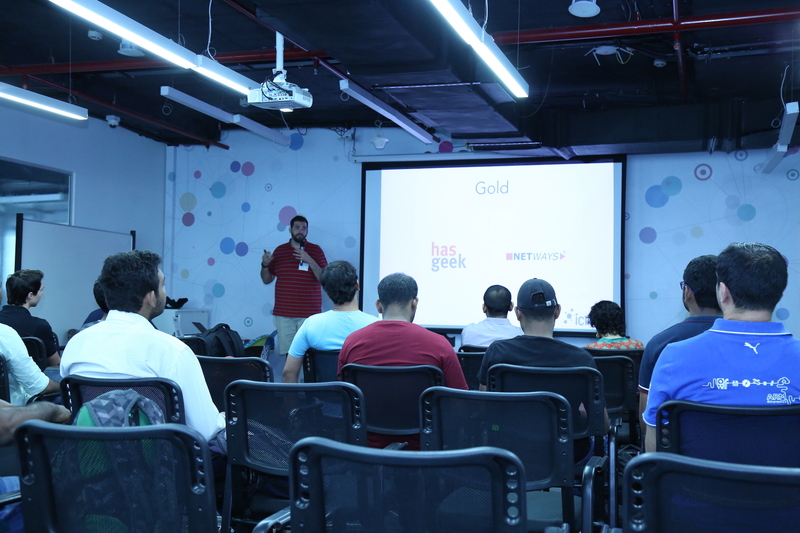 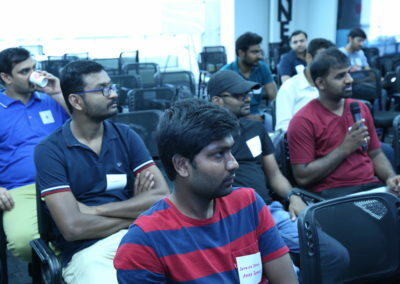 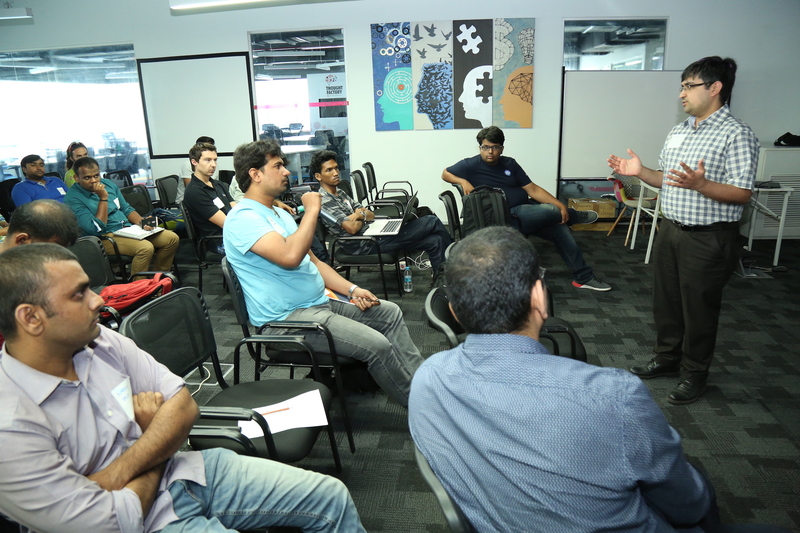 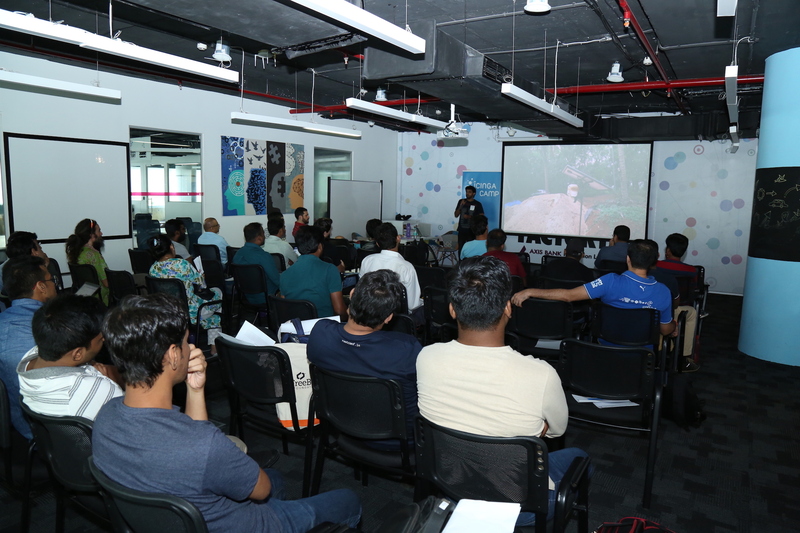 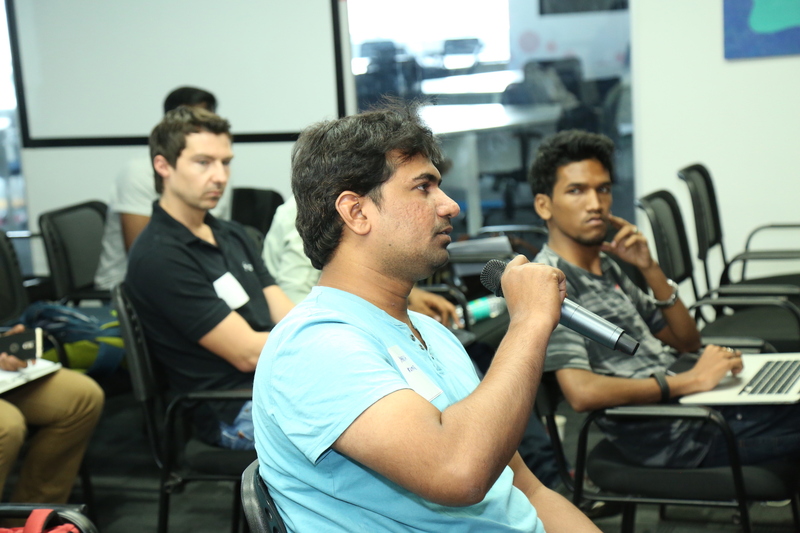 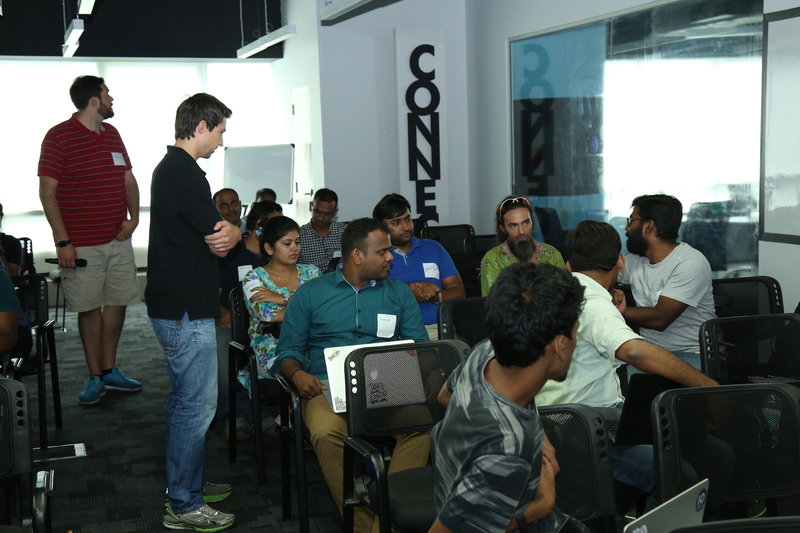 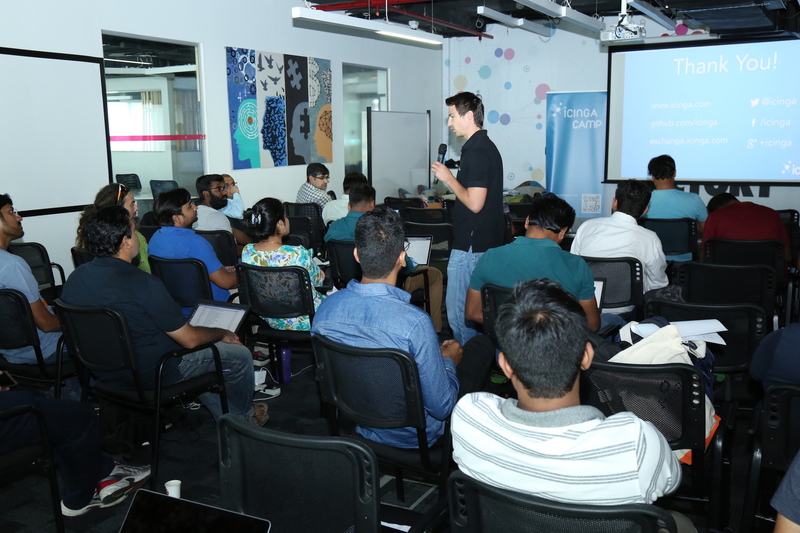 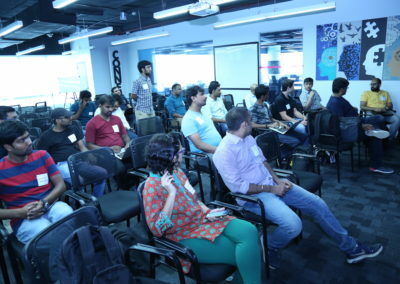 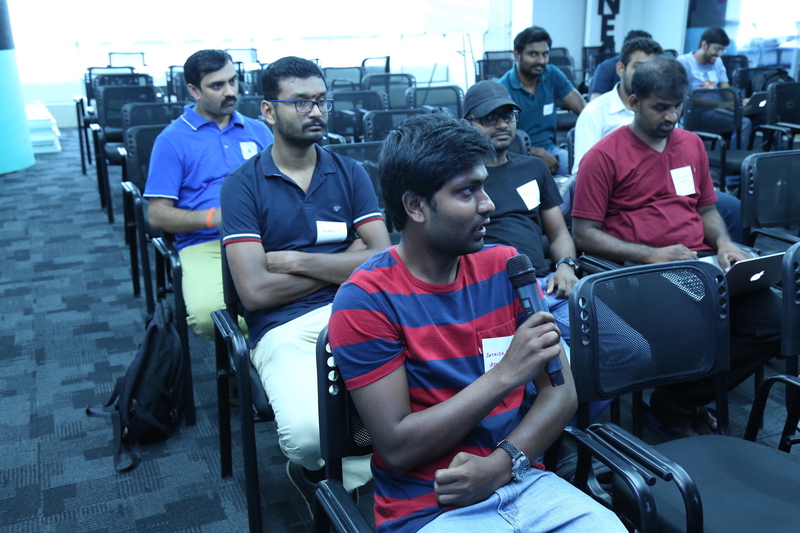 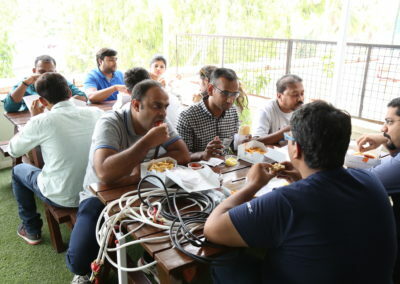 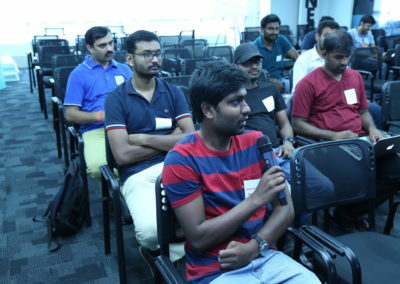 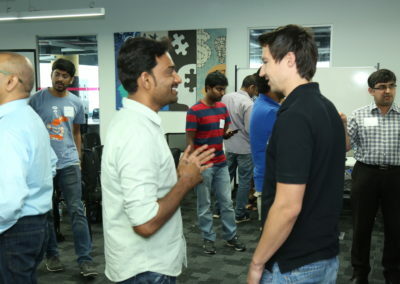 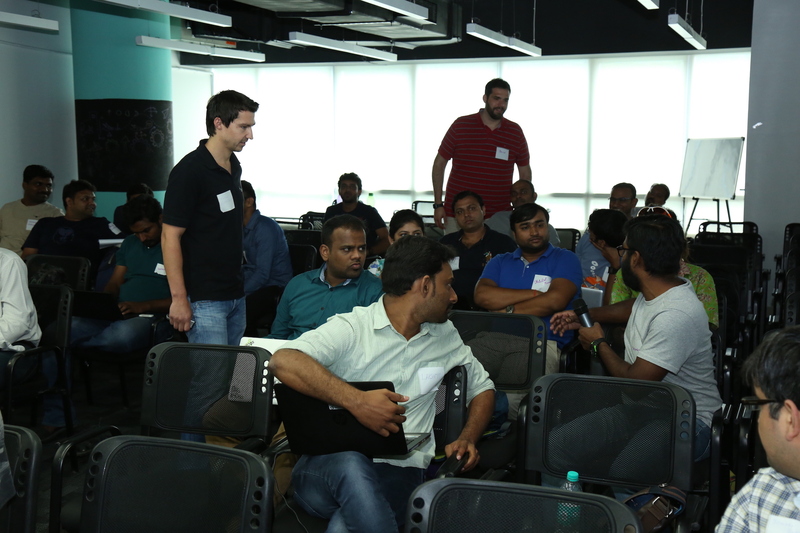 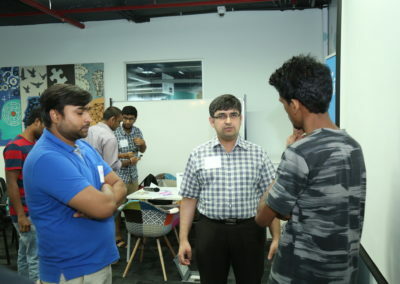 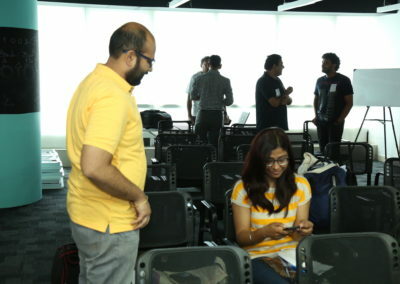 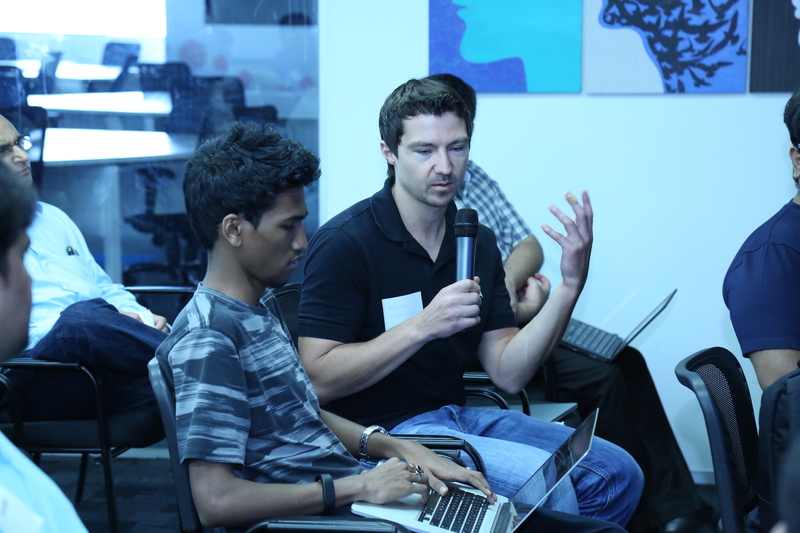 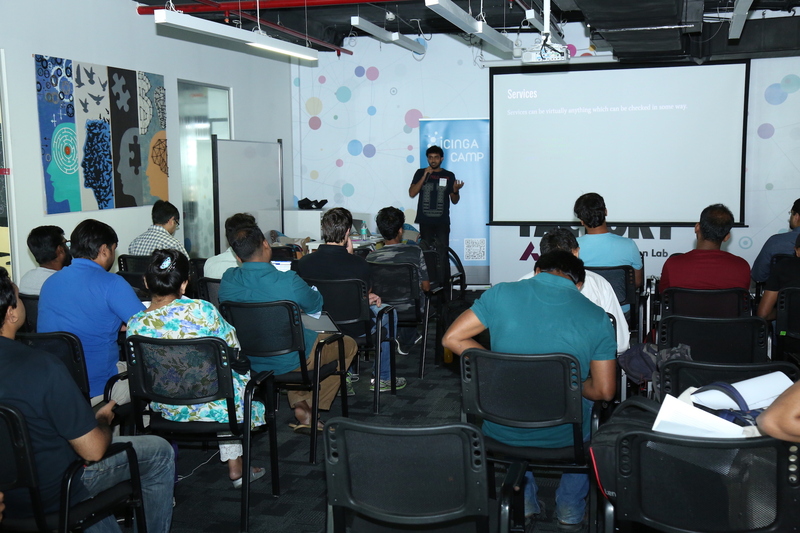 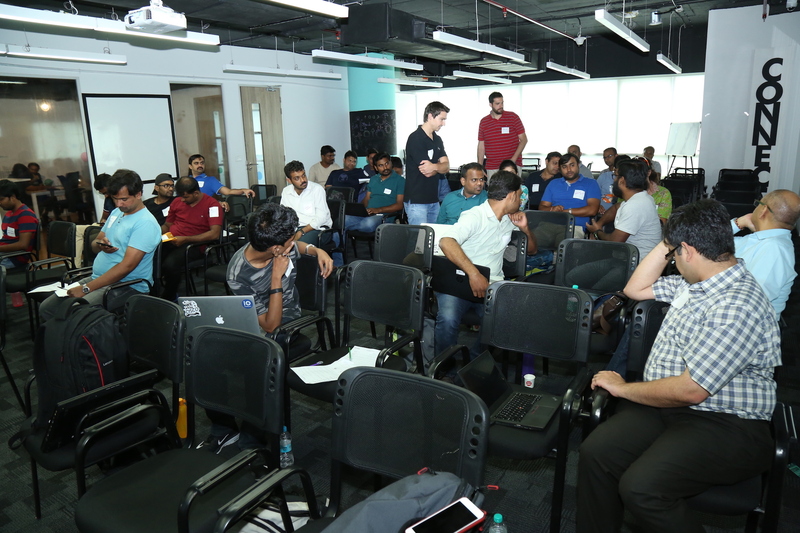 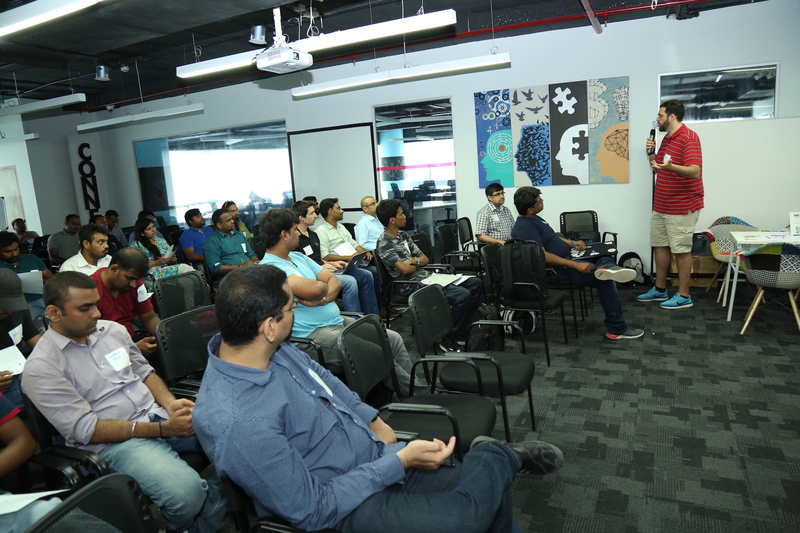 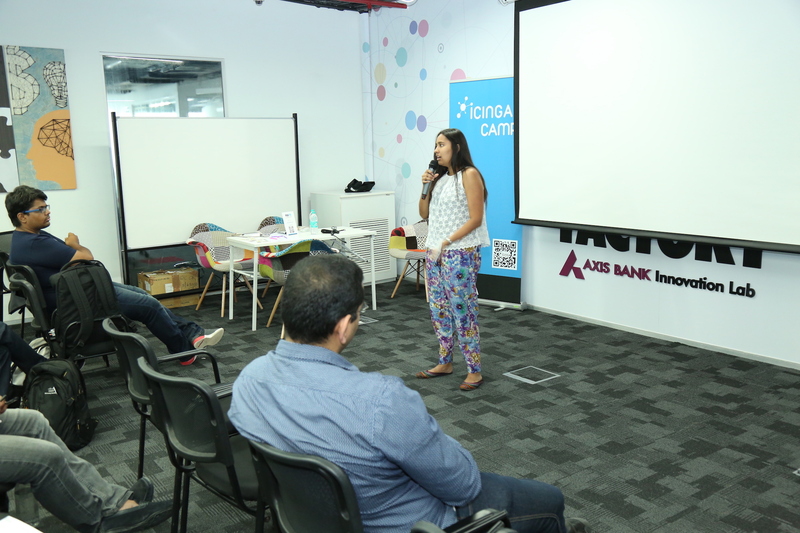 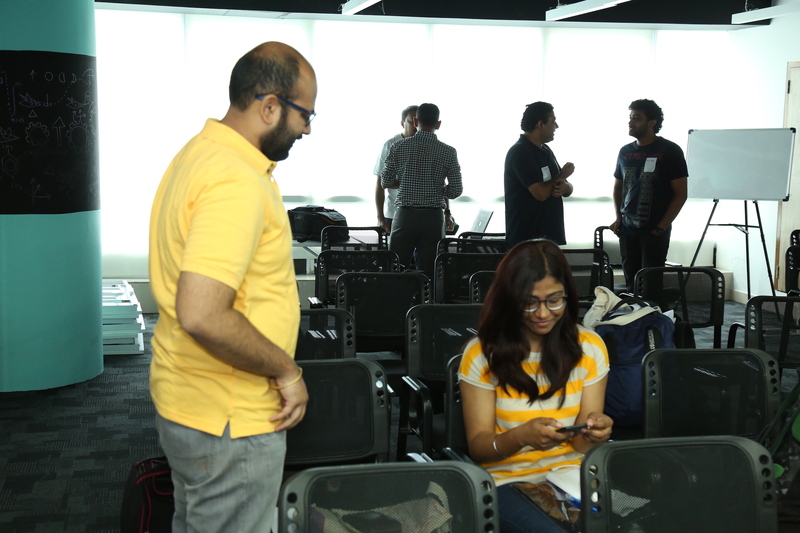 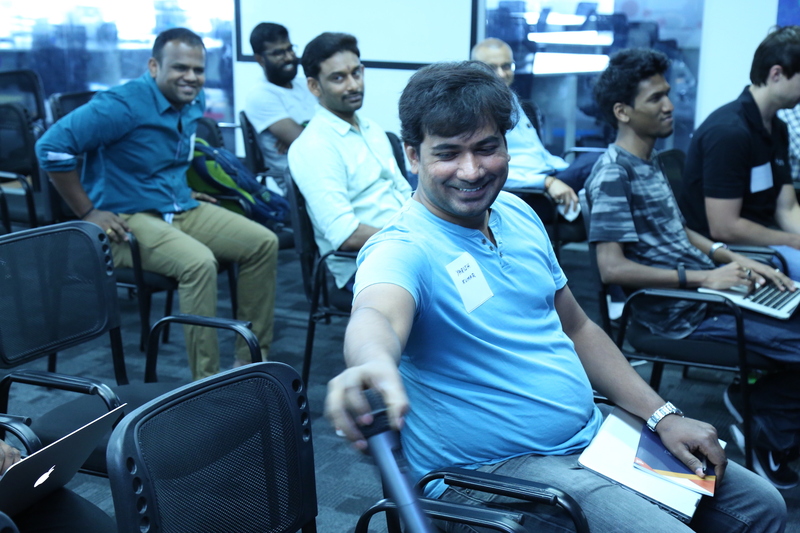 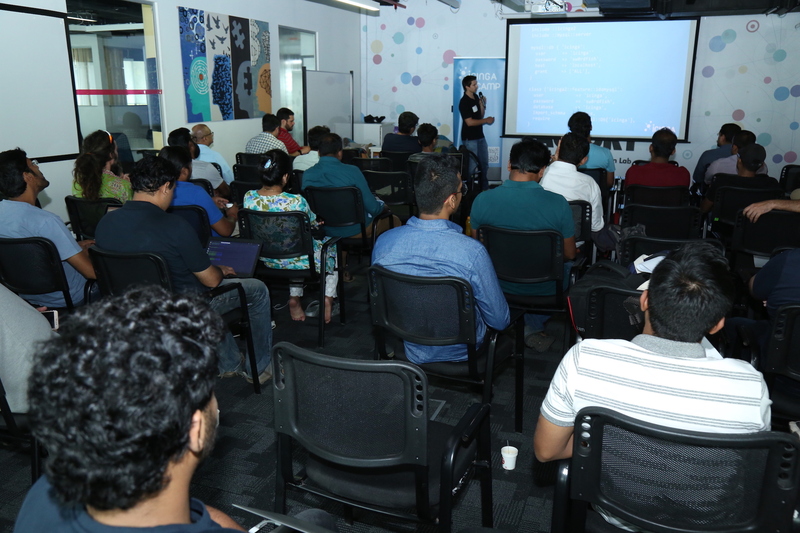 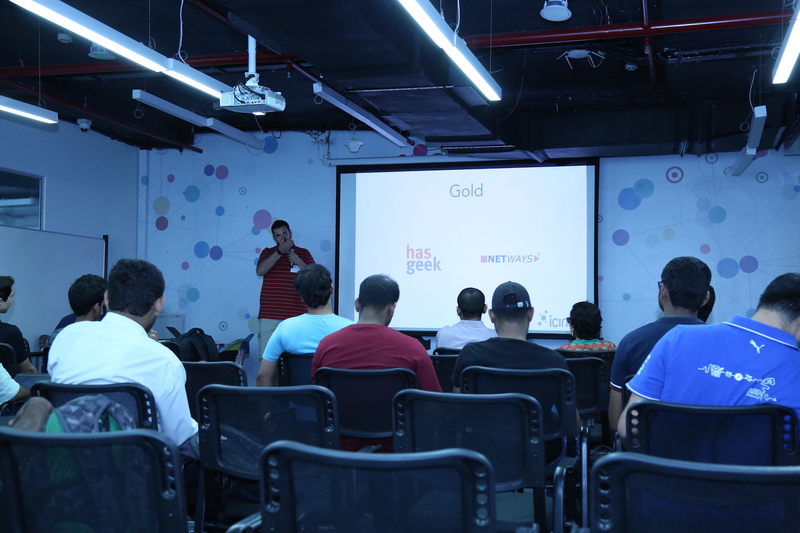 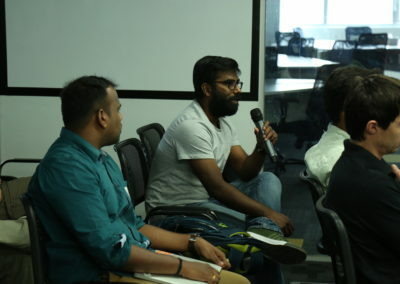 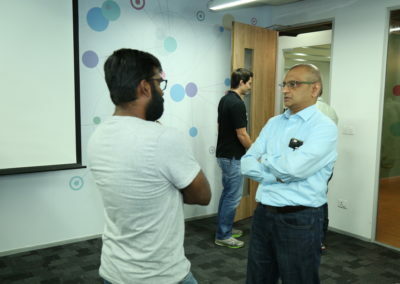 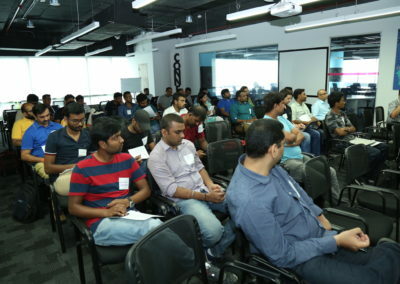 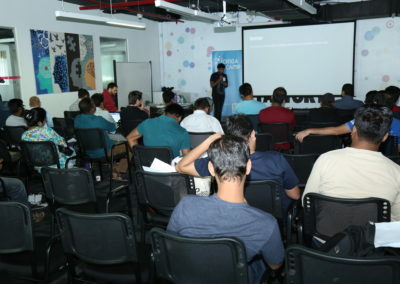 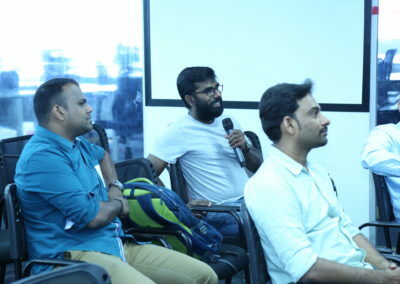 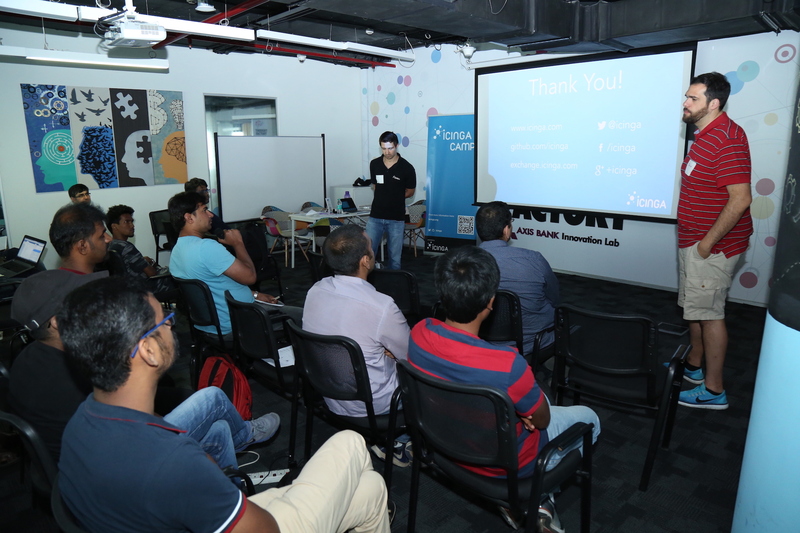 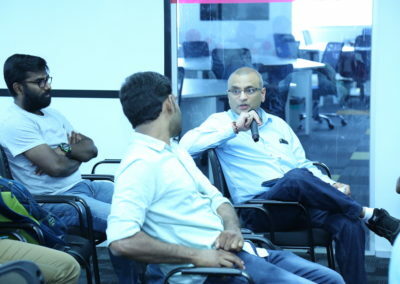 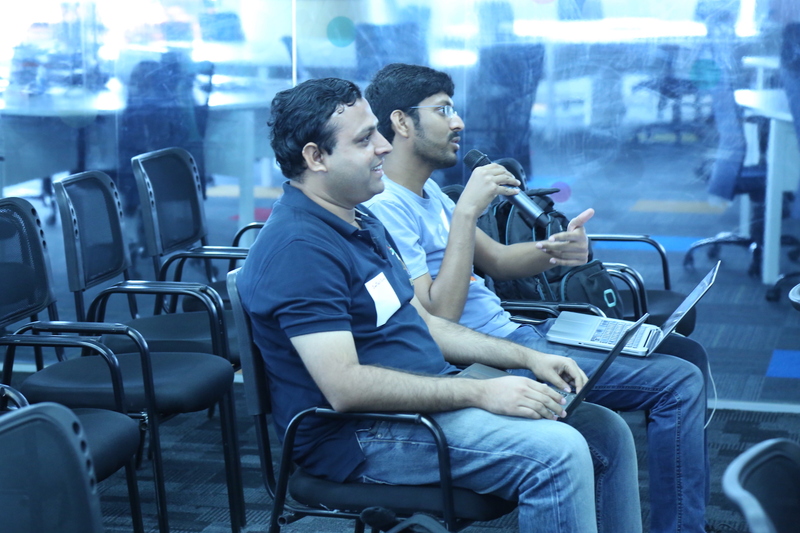 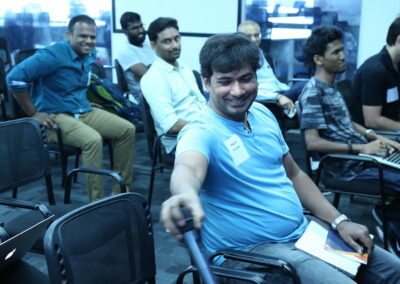 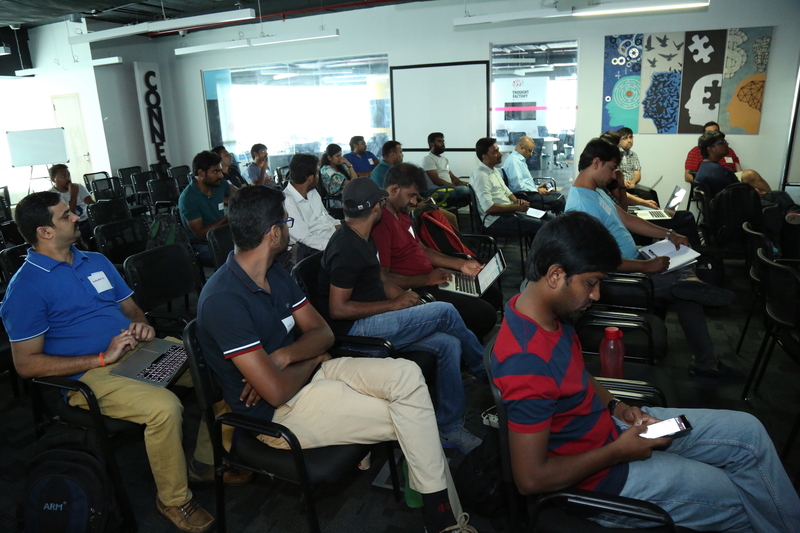 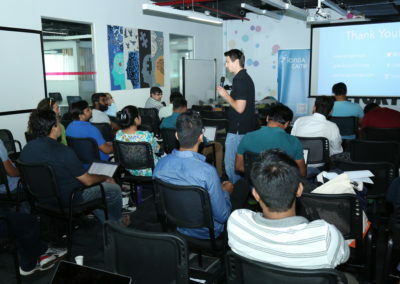 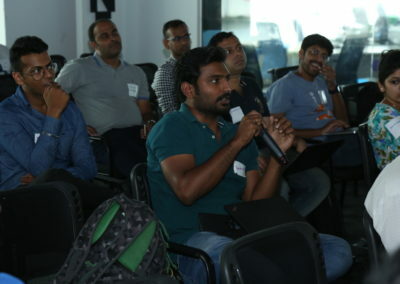 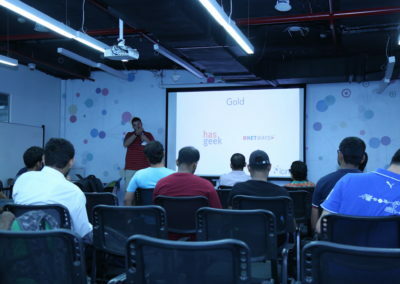 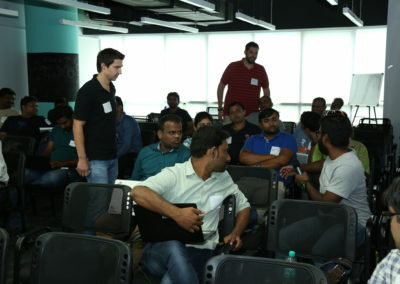 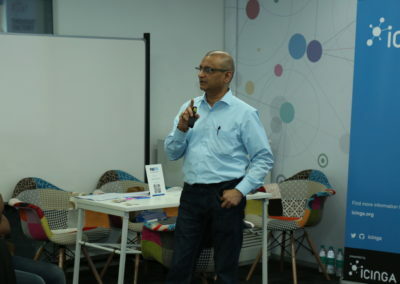 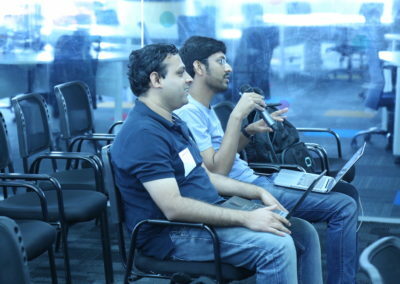 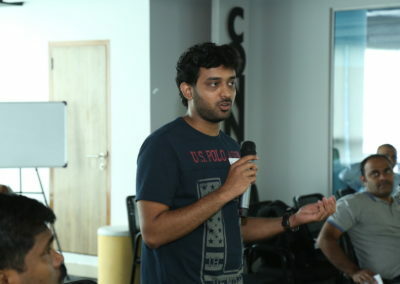 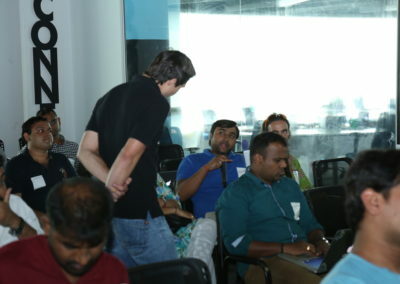 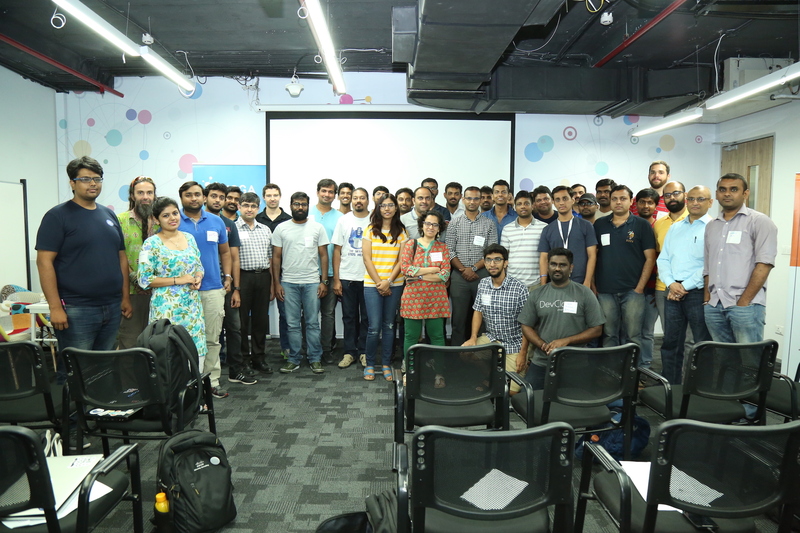 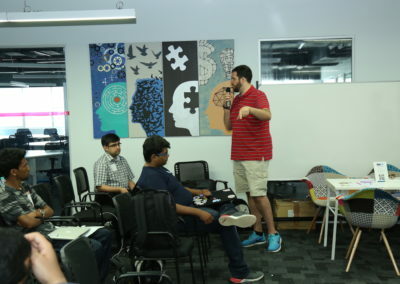 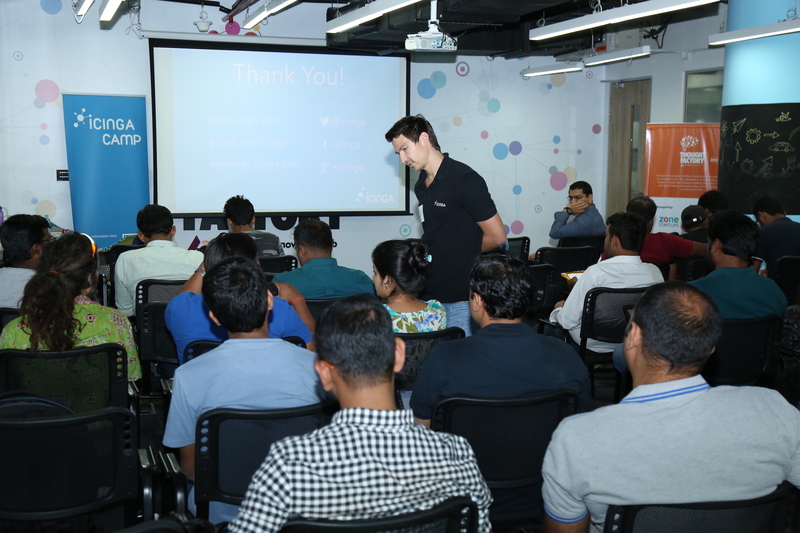 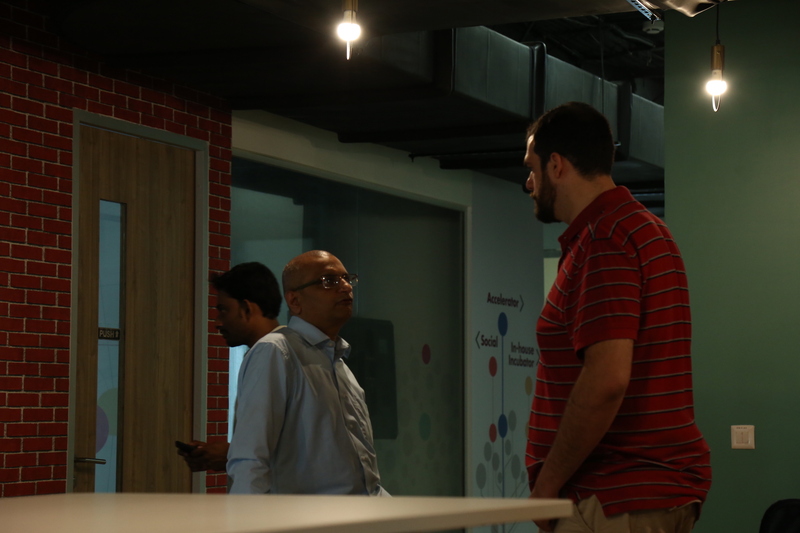 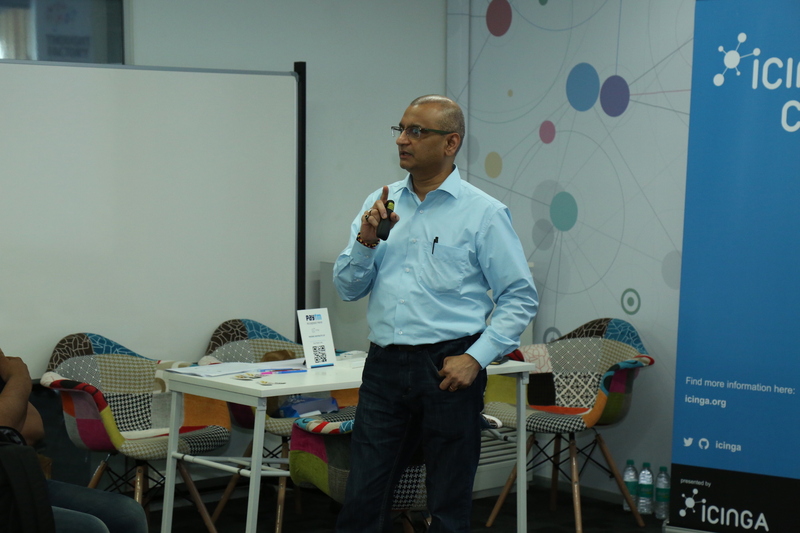 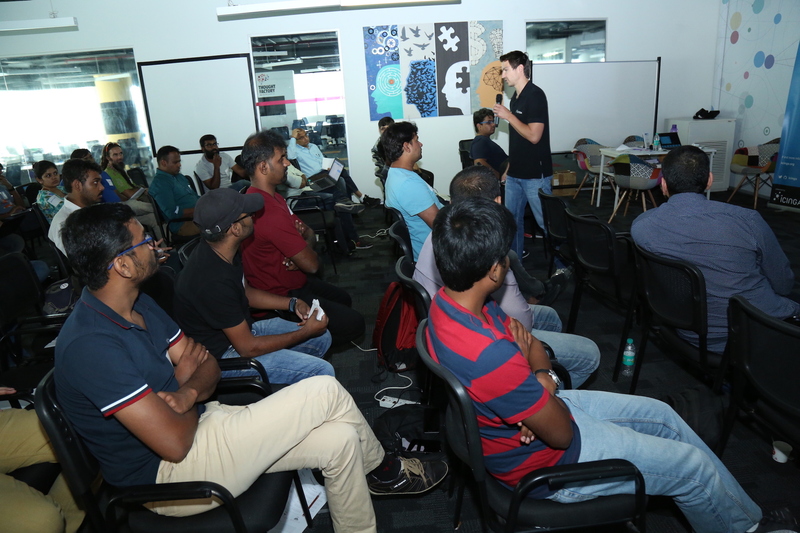 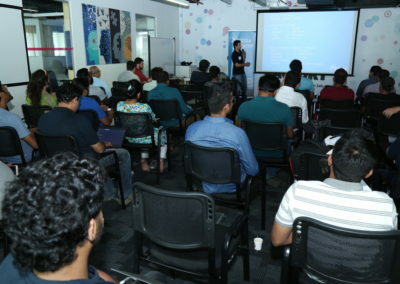 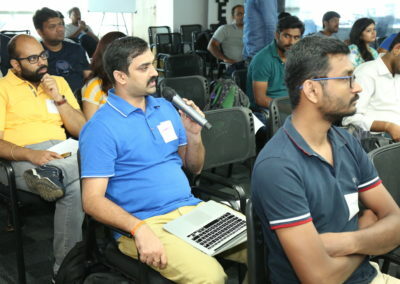 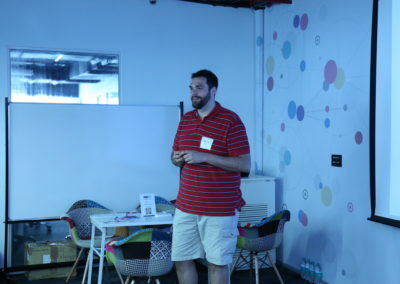 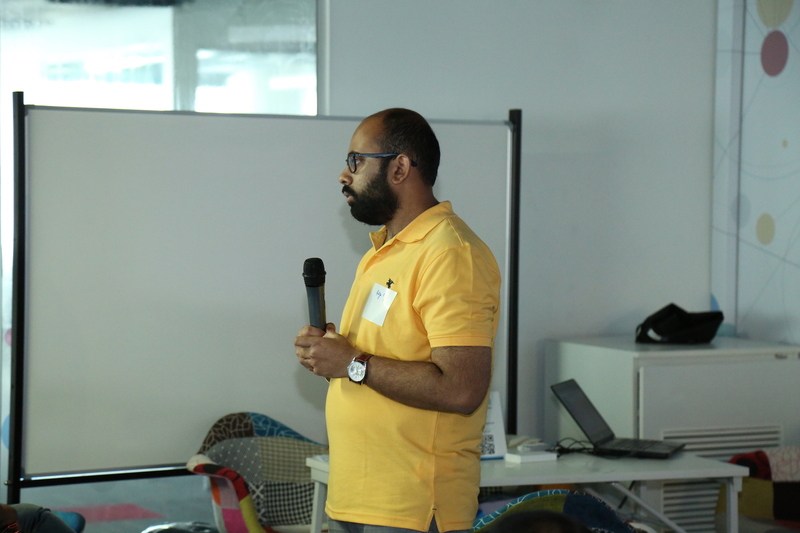 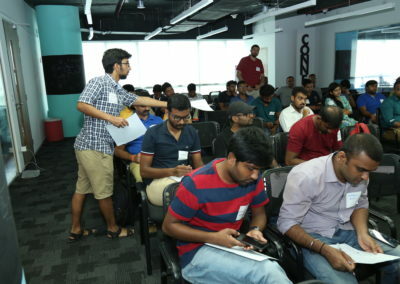 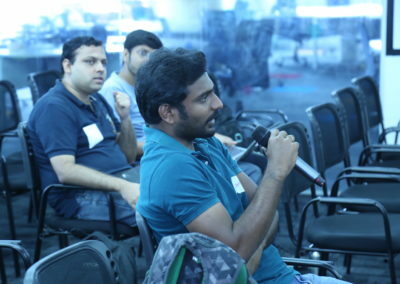 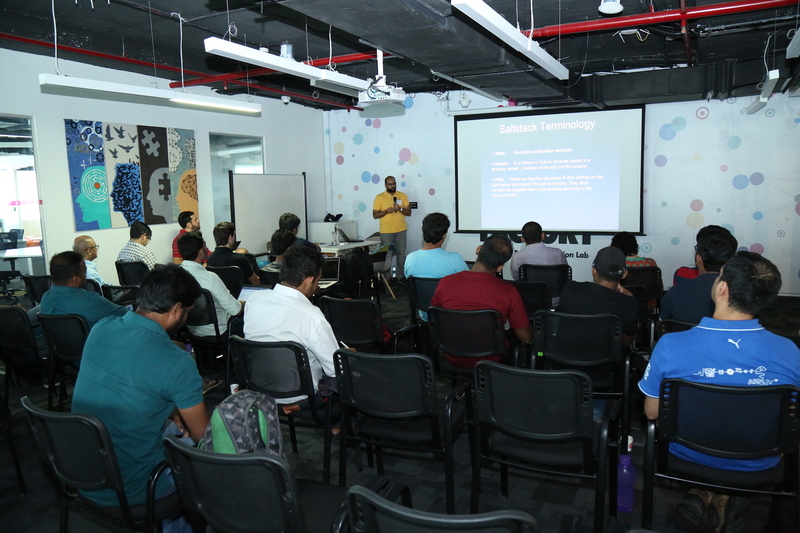 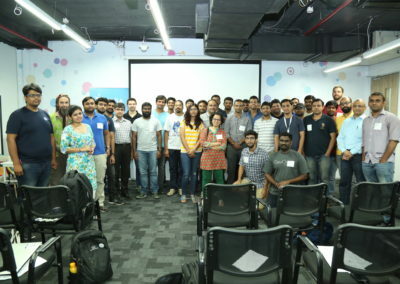 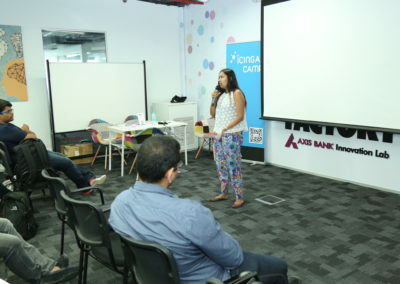 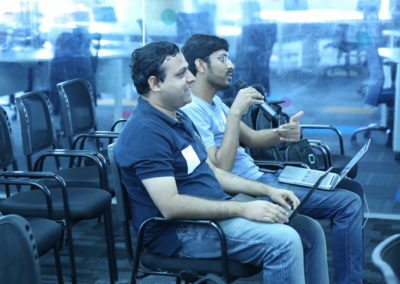 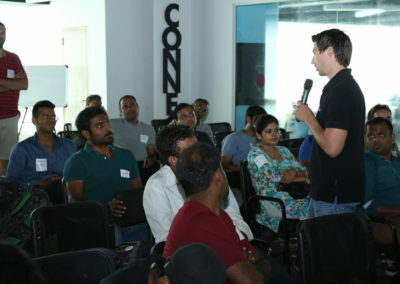 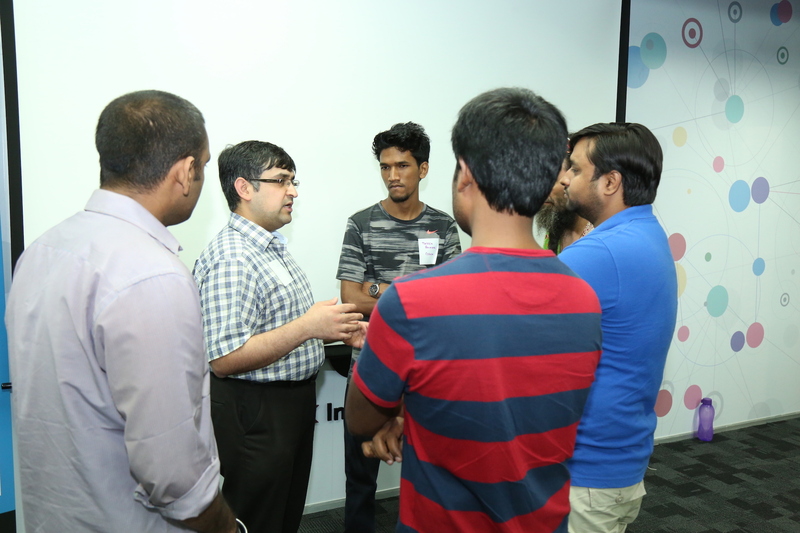 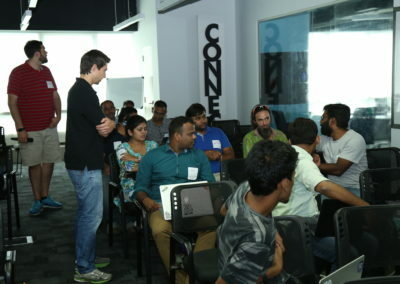 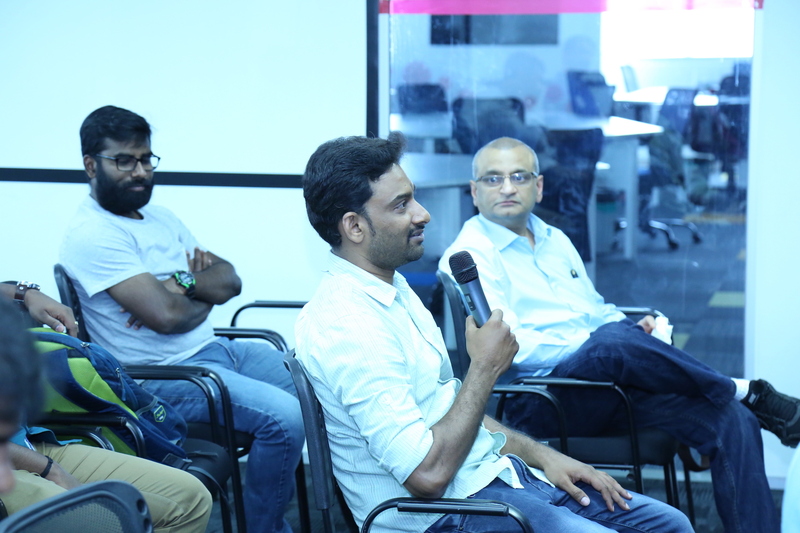 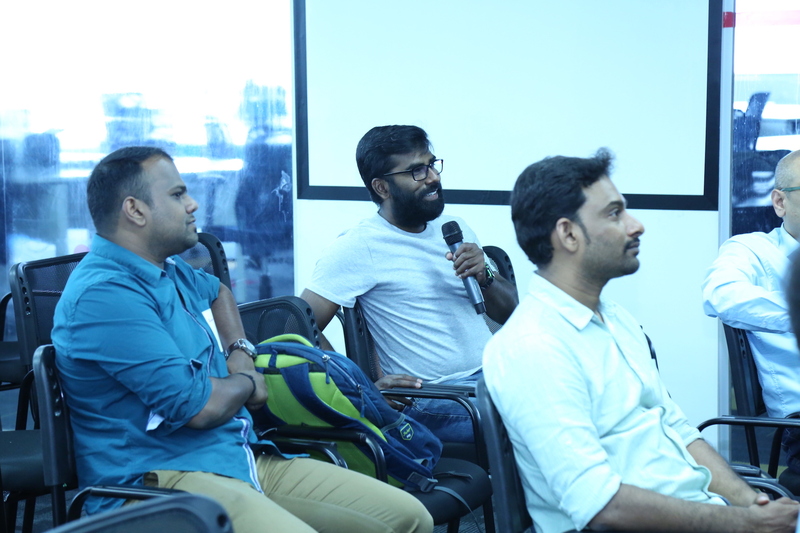 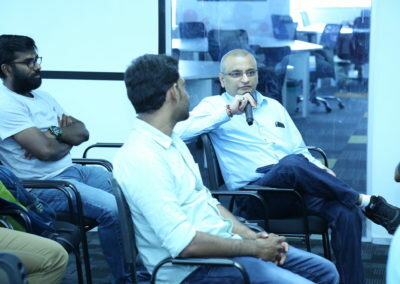 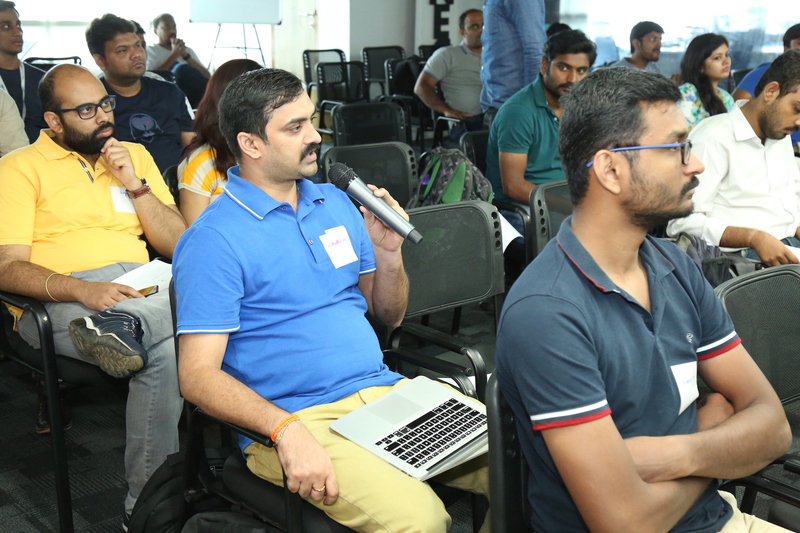 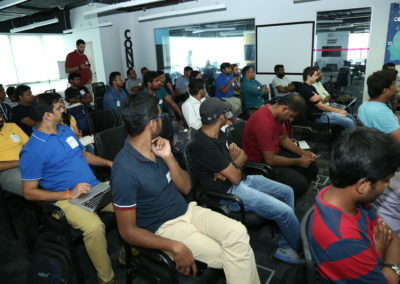 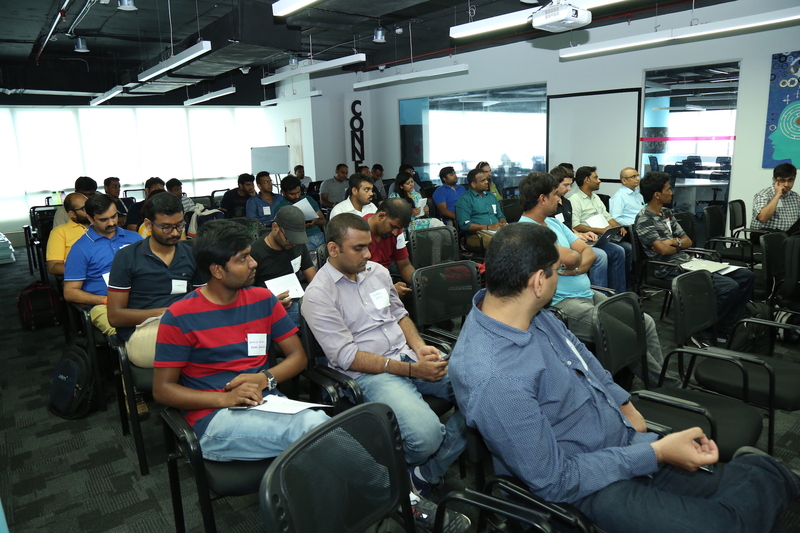 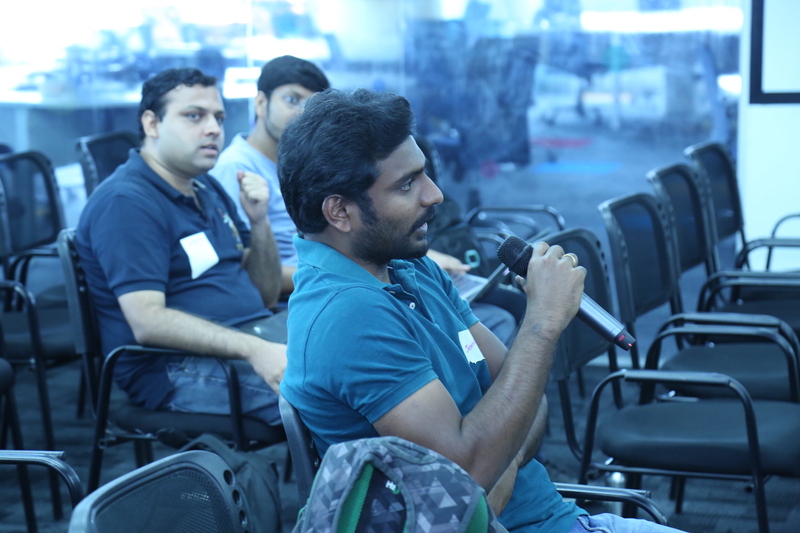 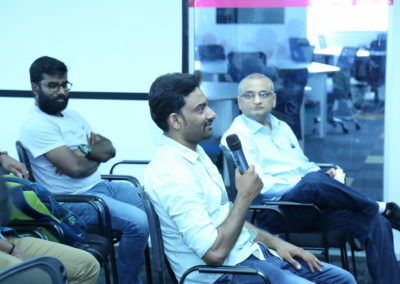 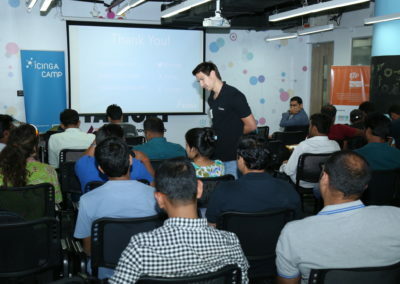 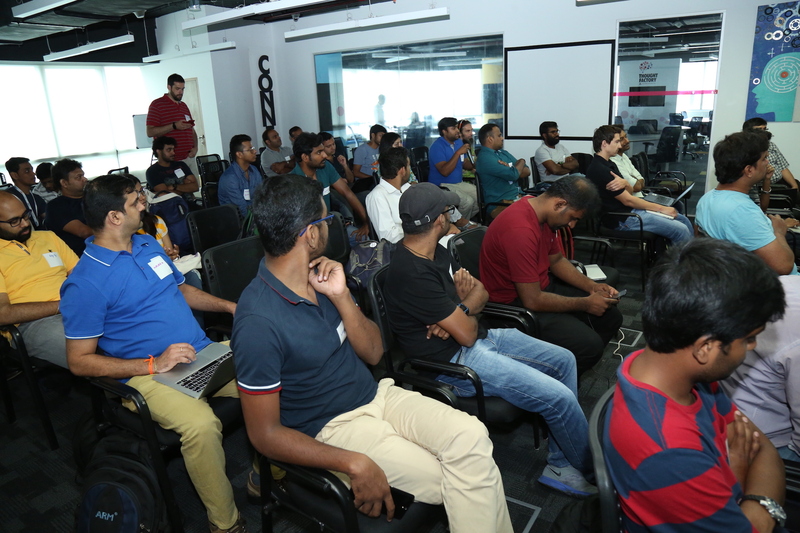 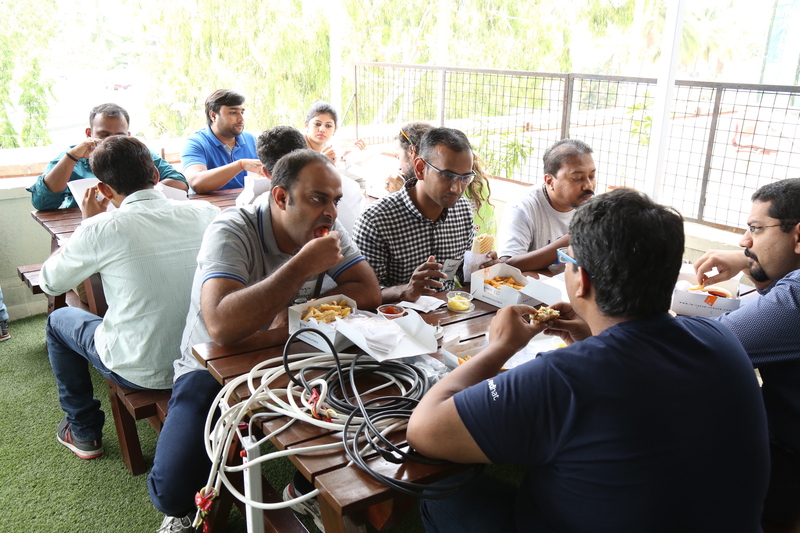 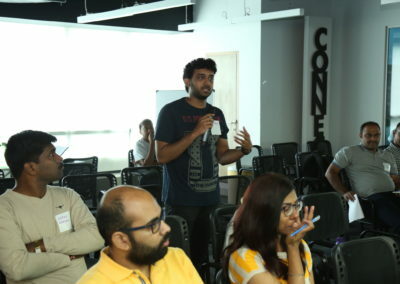 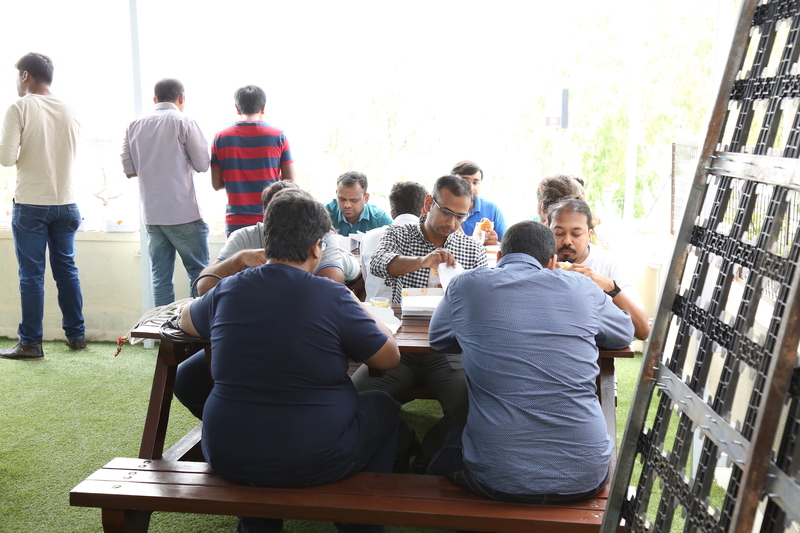 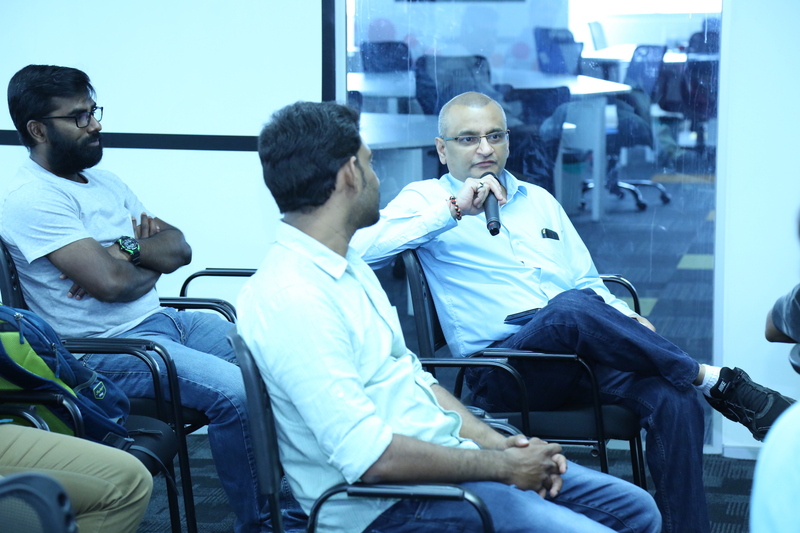 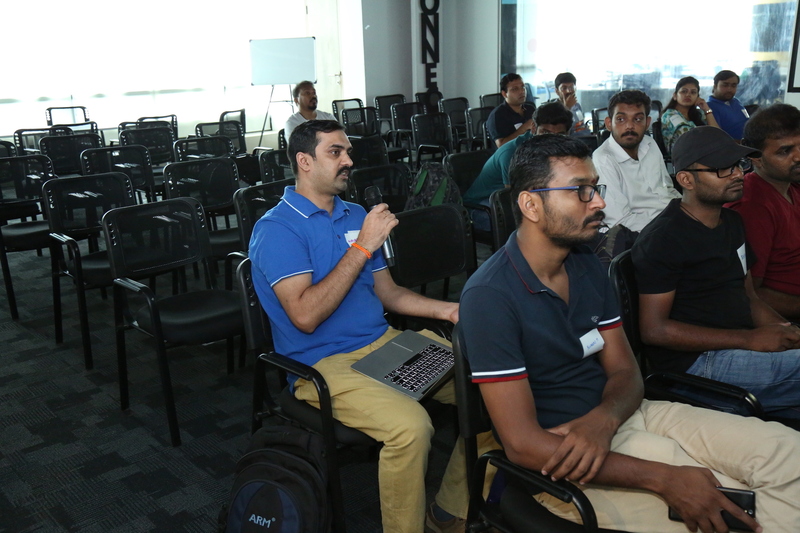 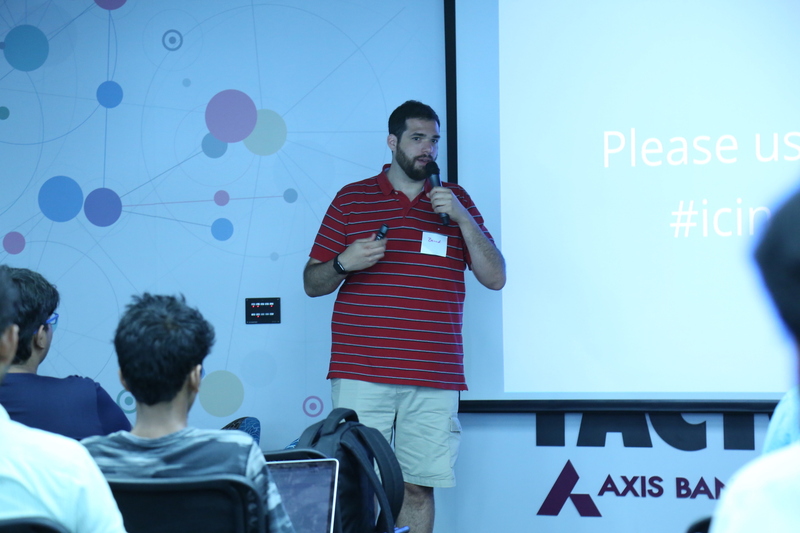 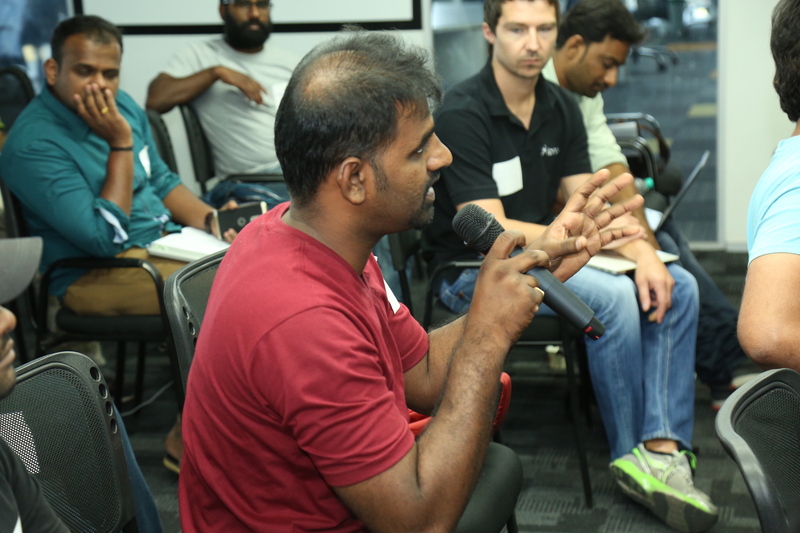 We had a great time in Bangalore and the chance to meet our awesome community. 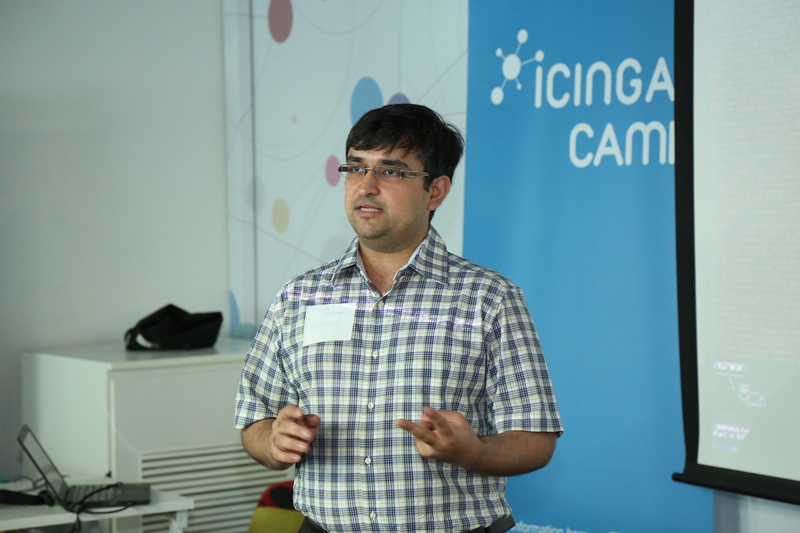 See all slides and pictures from our Camp in May. 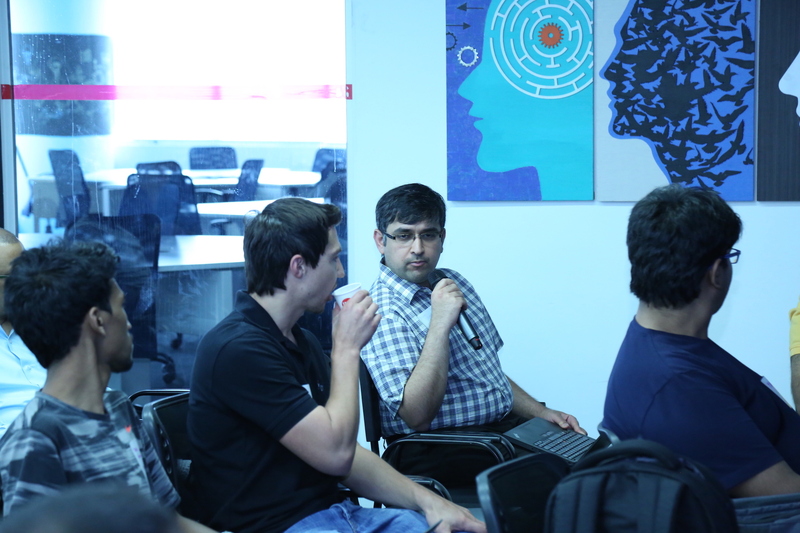 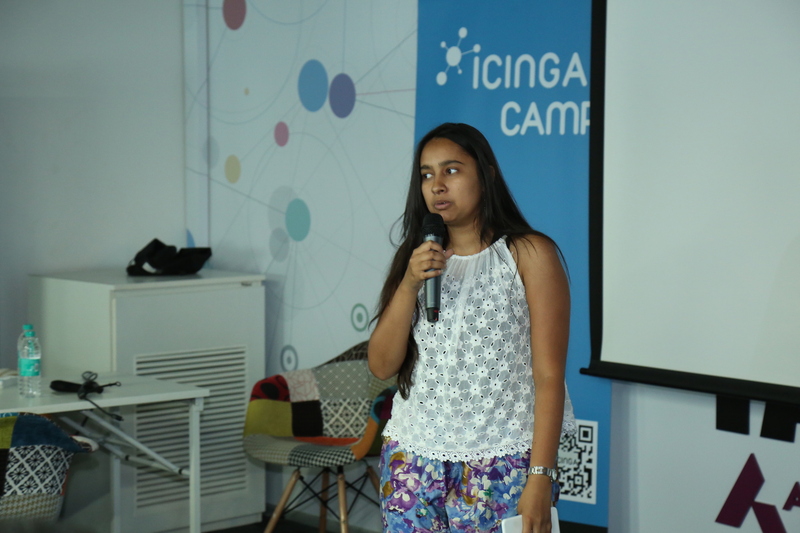 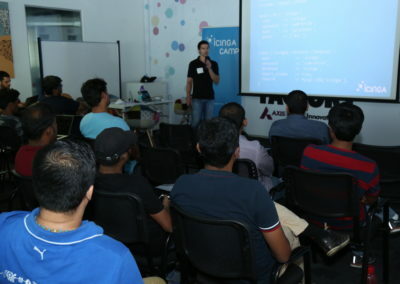 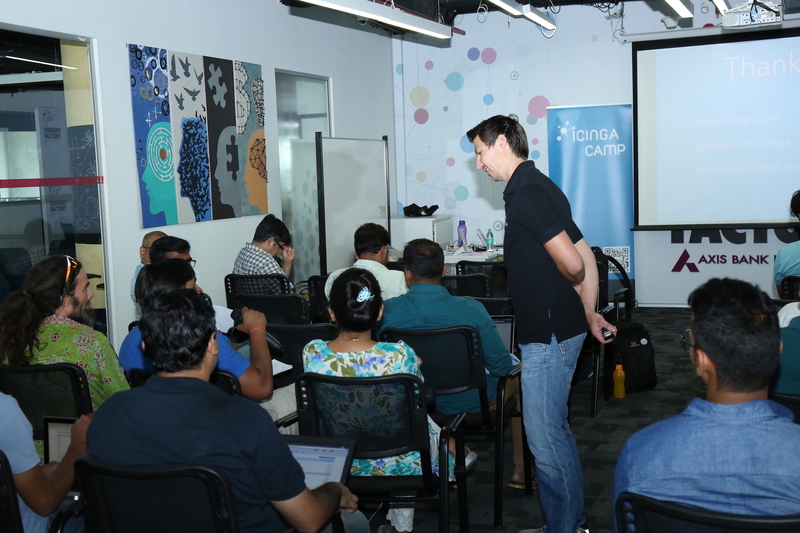 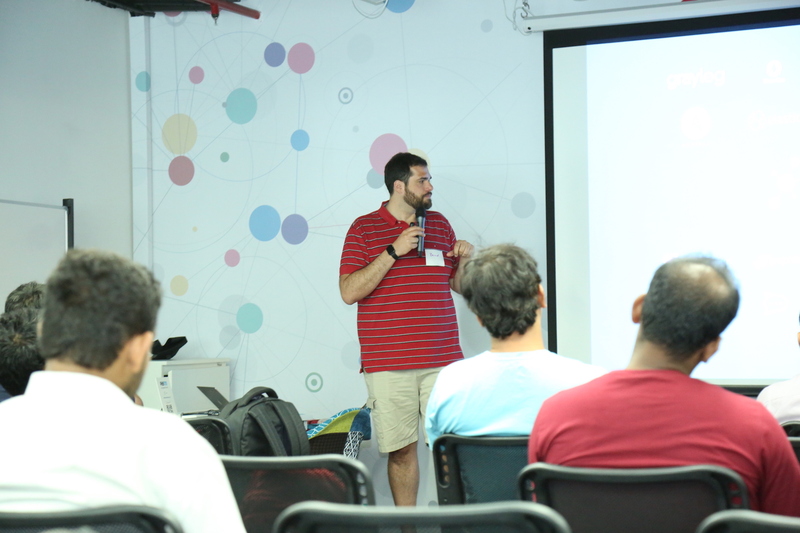 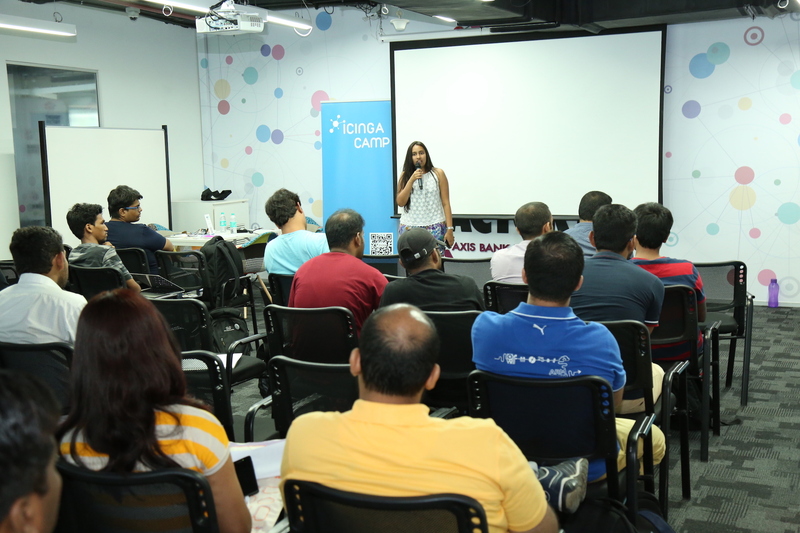 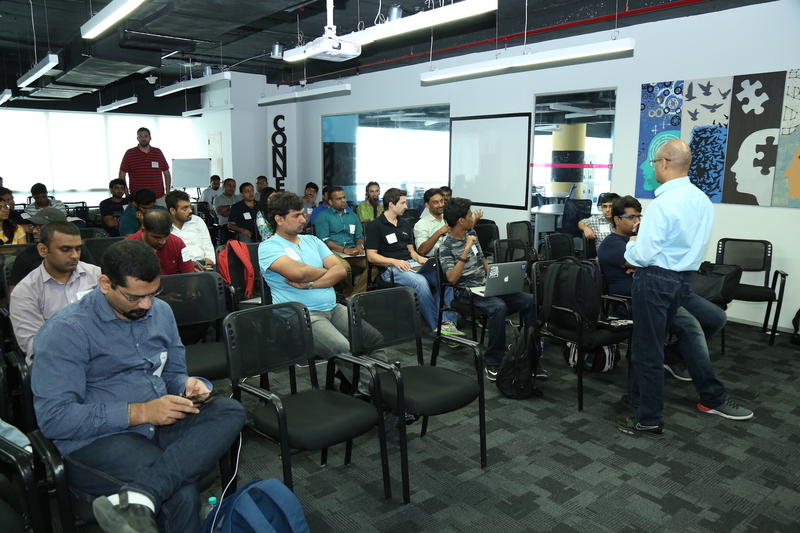 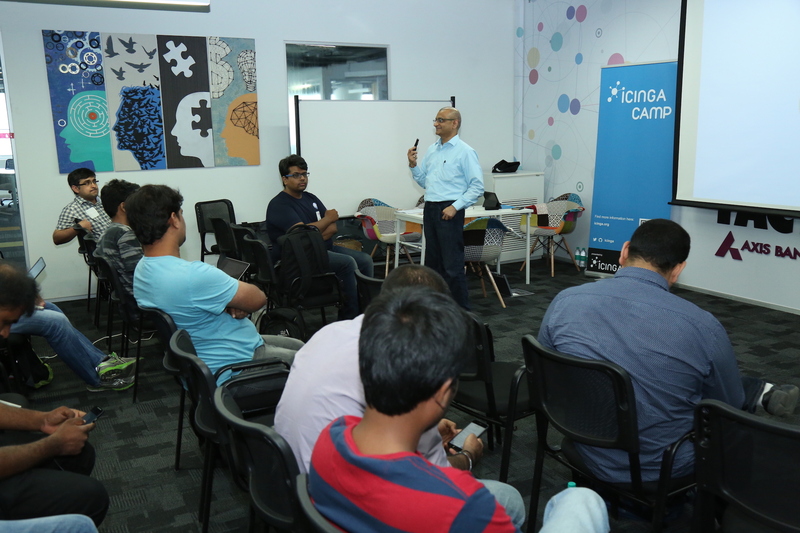 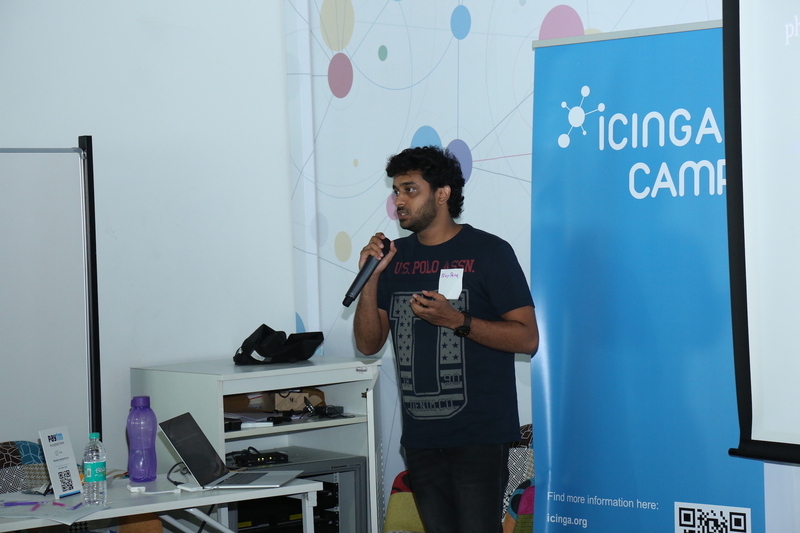 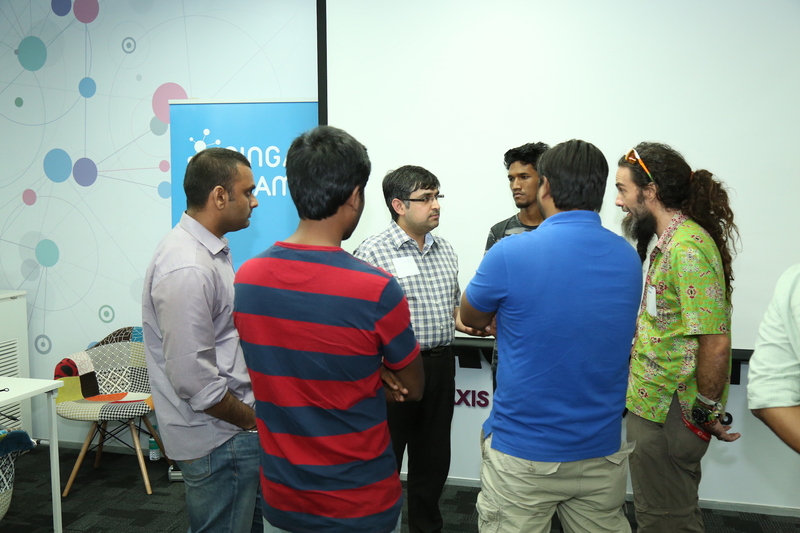 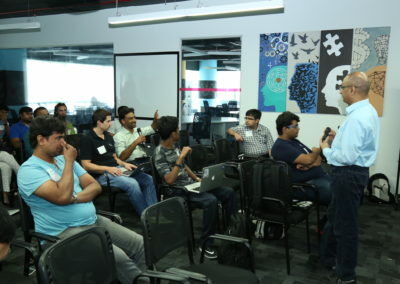 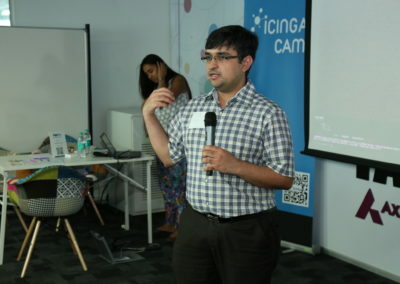 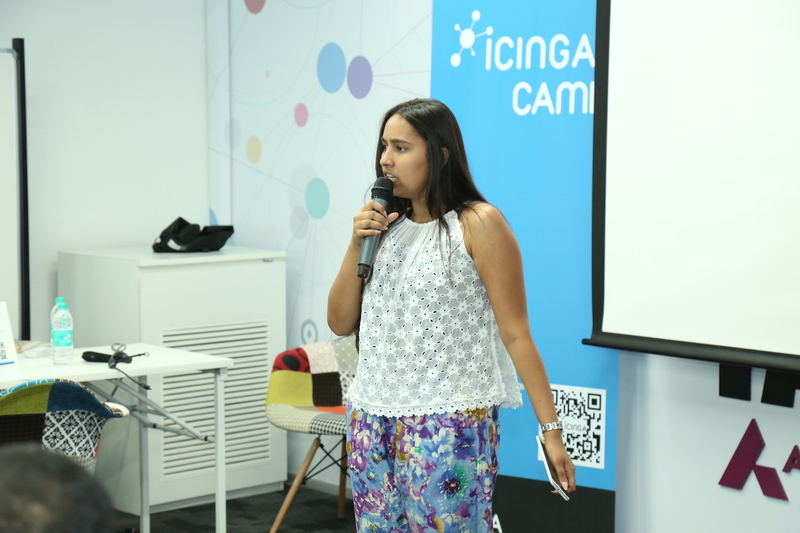 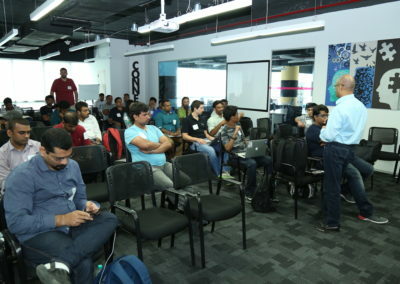 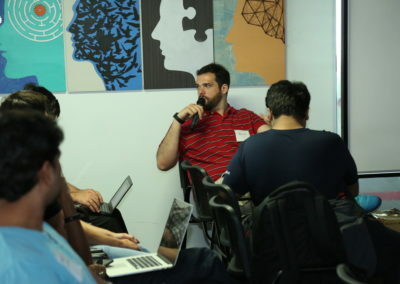 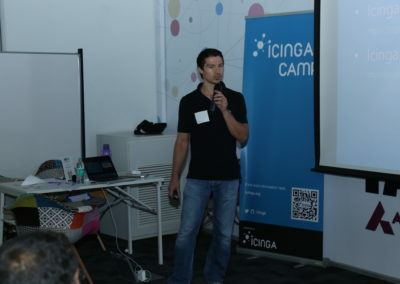 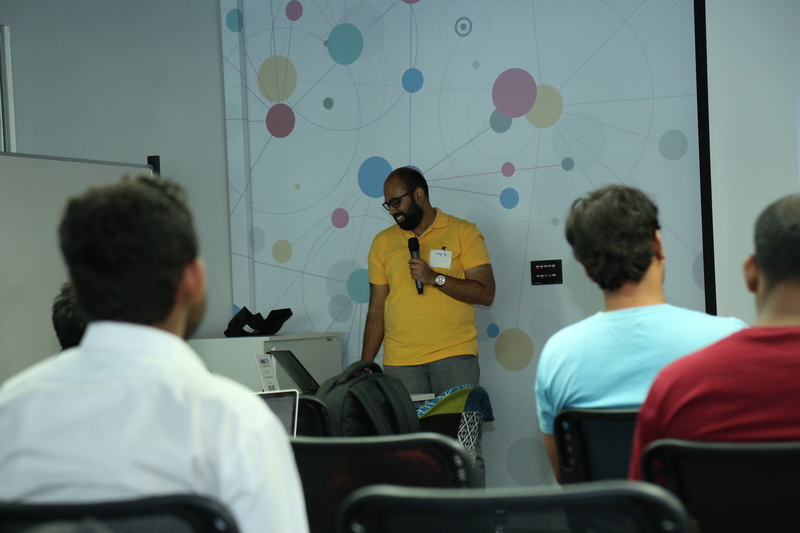 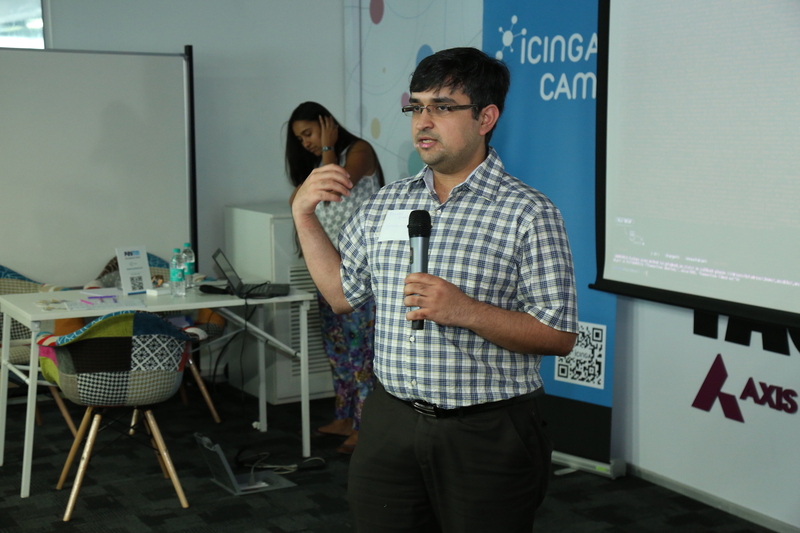 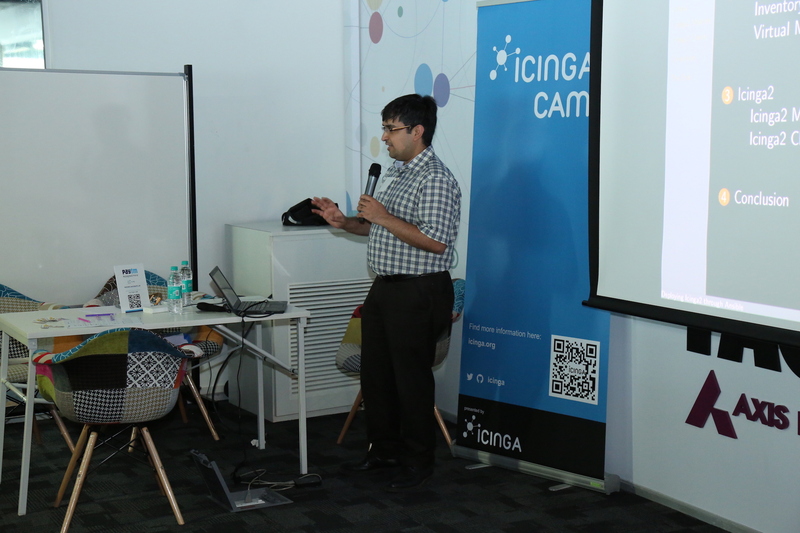 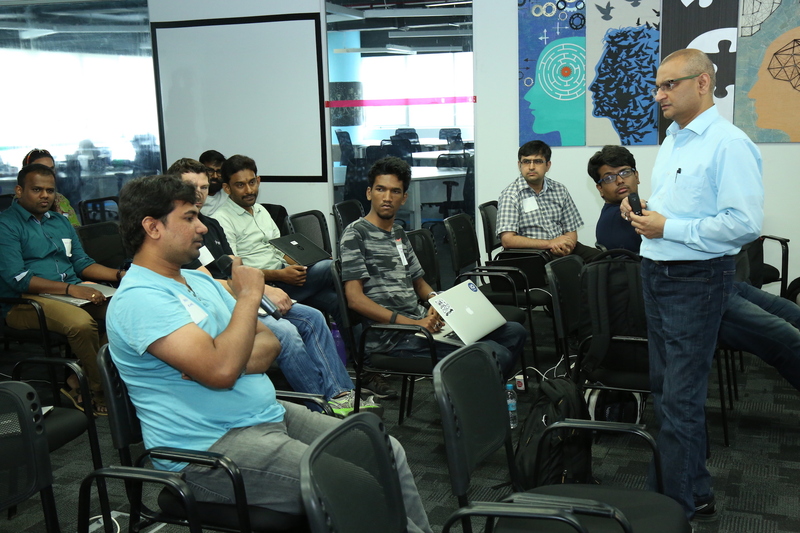 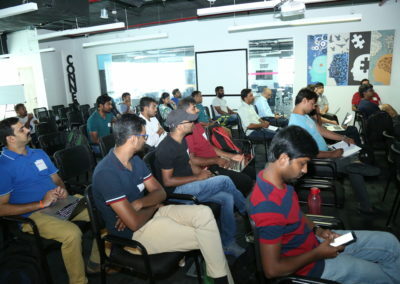 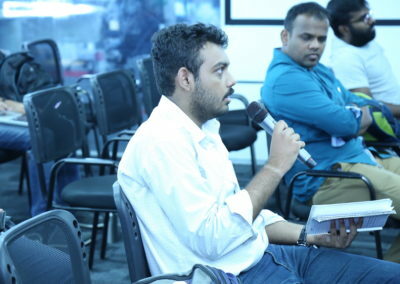 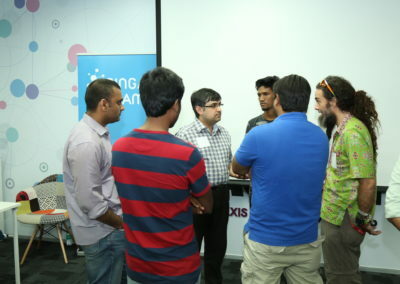 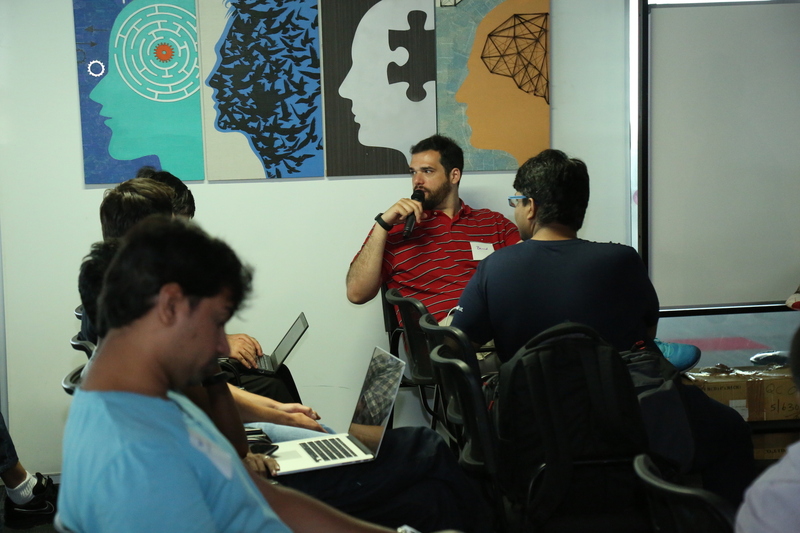 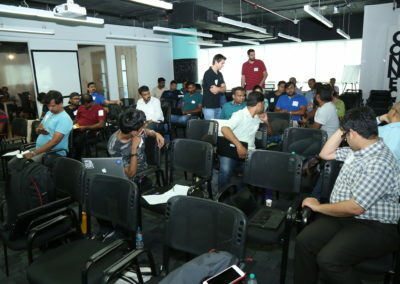 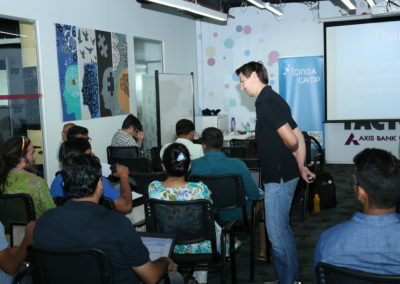 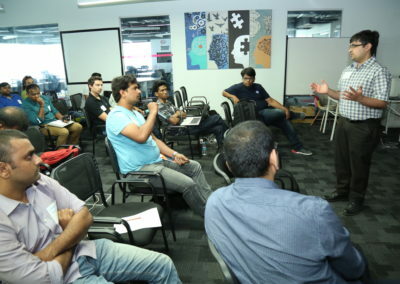 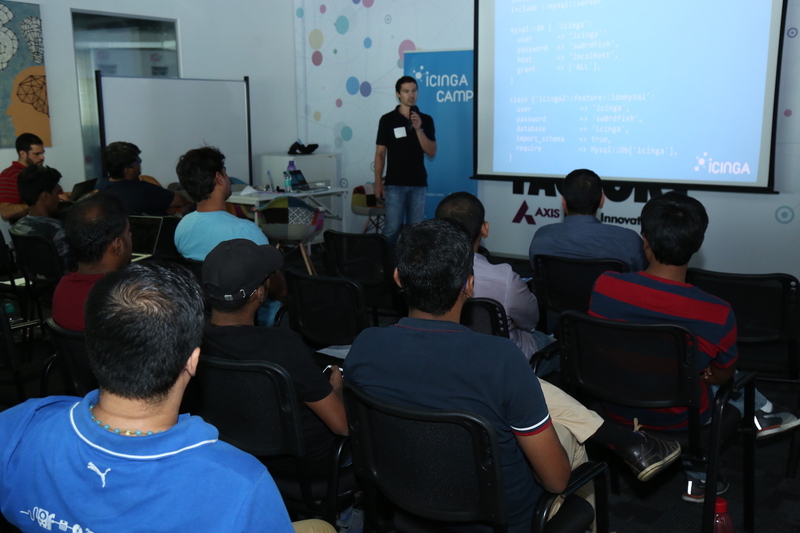 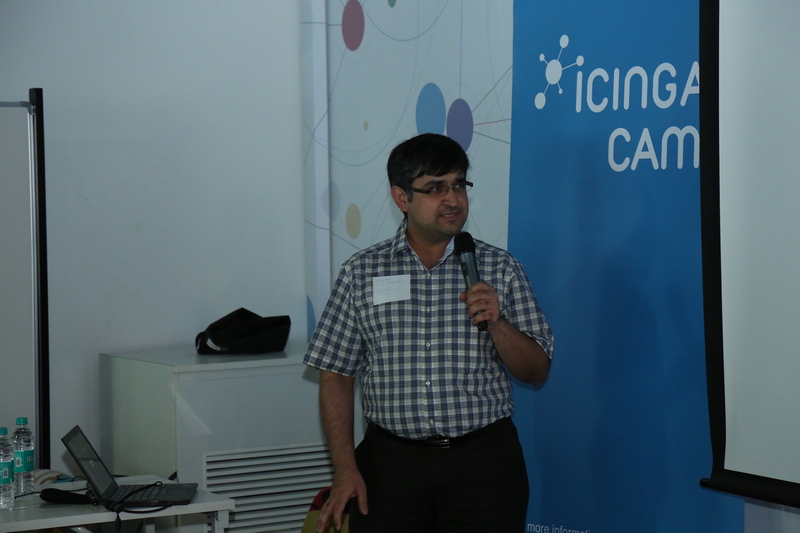 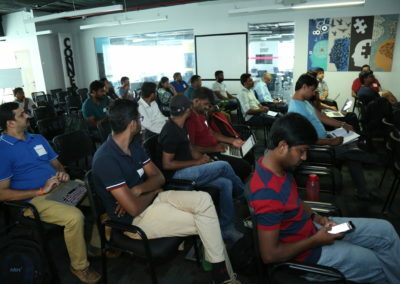 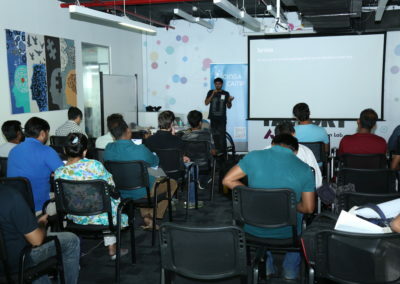 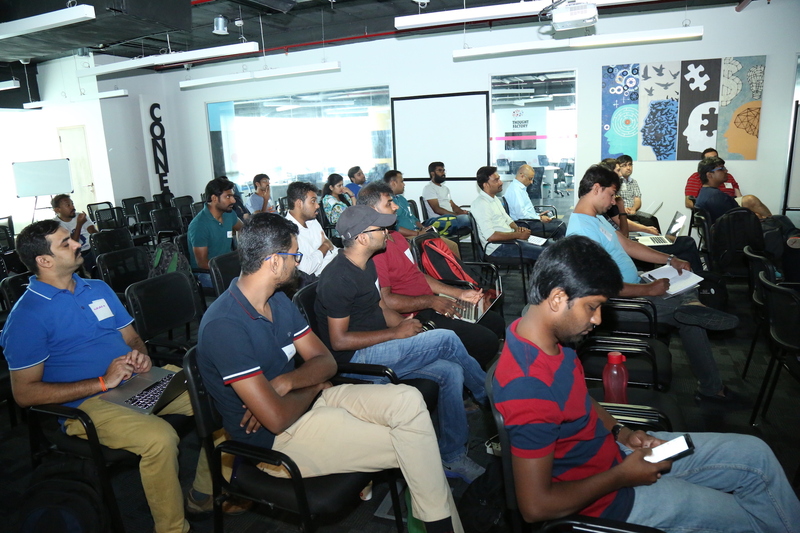 Icinga Camp Bangalore will contain talks by the Icinga team and local speakers. 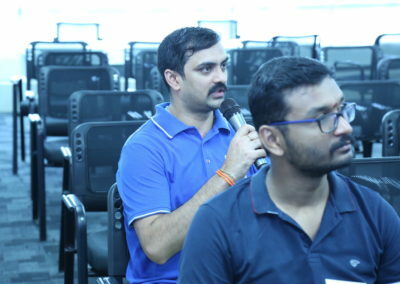 We will have a great time. 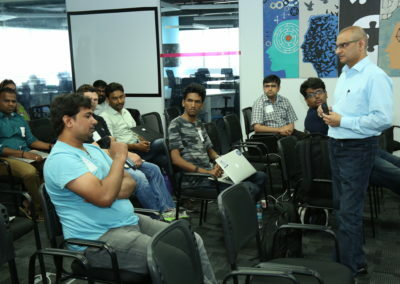 See who is speaking in Bangalore! 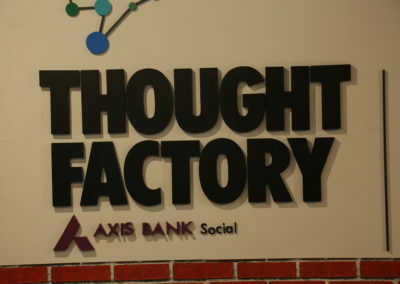 Our Camp location for Bangalore will be the Thought Factory. 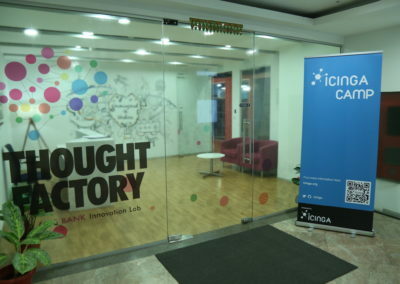 You can find more information about our location over here. 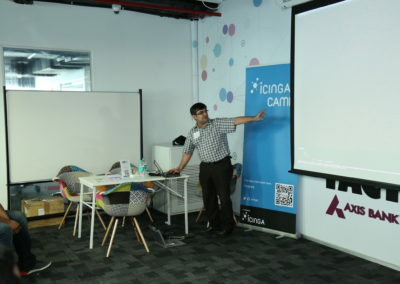 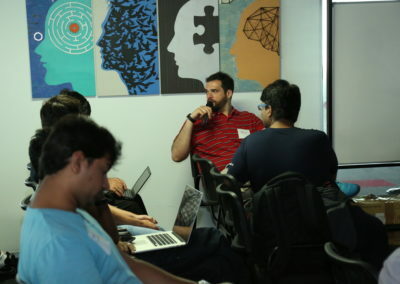 Join us for a day of learning and networking as we discuss monitoring best practices, complementary add-ons (with use cases), and the future roadmap of Icinga. Seats are limited, so secure your spot by registering today! 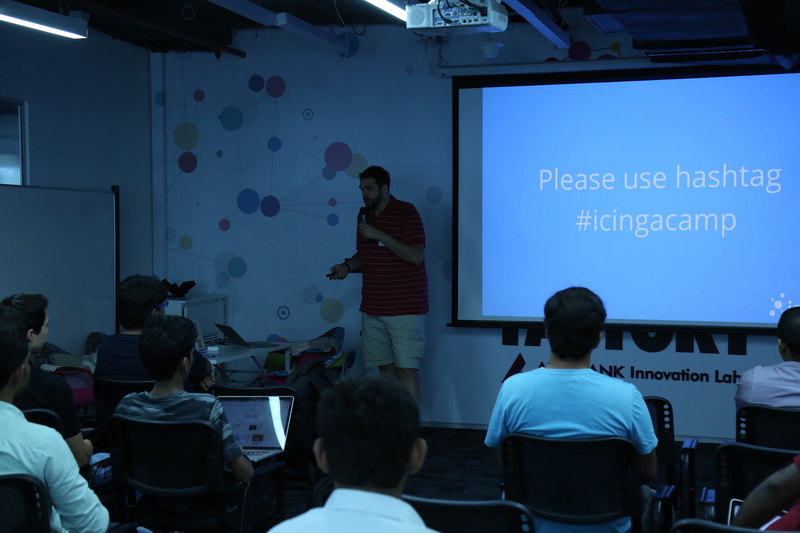 We’ll start at 10:00 am followed by a full day of monitoring, metrics, trends, logs, and of course, Icinga. 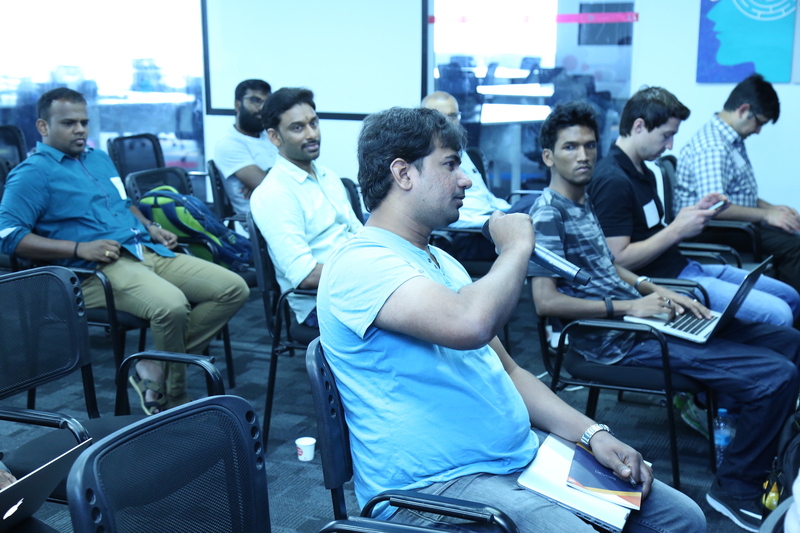 Whether you’re already in Bangalore for Rootconf, or you’re just coming for Icinga Camp, we look forward to seeing you May 13th! 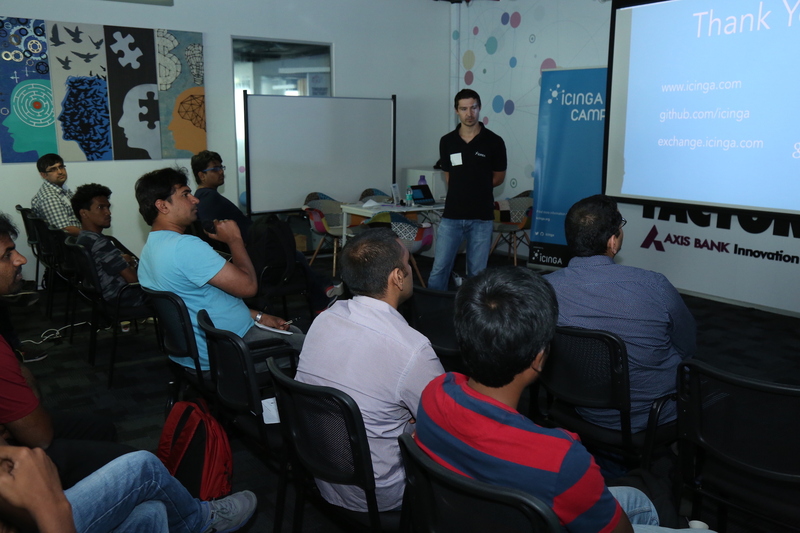 We are happy to have a great linup for Icinga Camp Bangalore 2017. 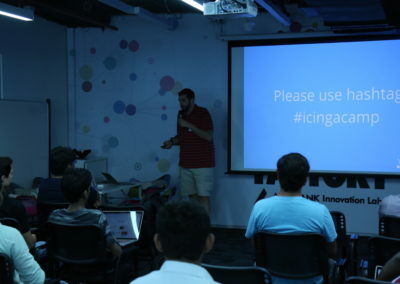 A short introduction into the day and the current state of the Icinga project. 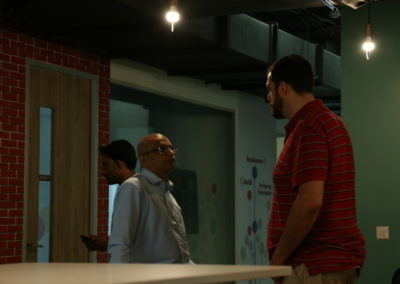 Choosing a monitoring solution that fits all aspects of a large enterprise that typically has multiple heterogeneous platforms, protocols, applications, services such as VOIP Telephony, mainframe, storage, all kinds of complex systems. 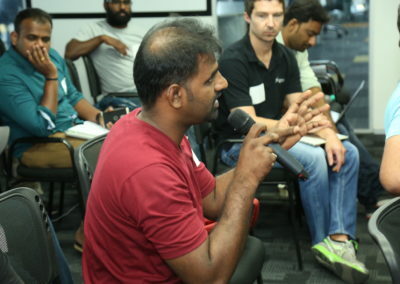 Need more integrated solution oriented approach than piecemeal approach. 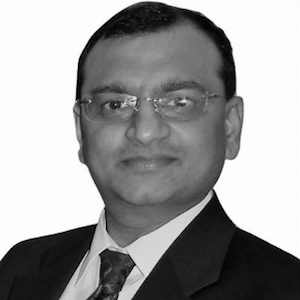 Mr. Hariram Hari PMP, President, FORTIDM Technologies, has over 20 years of professional experience in the IT, engineering and technology fields. 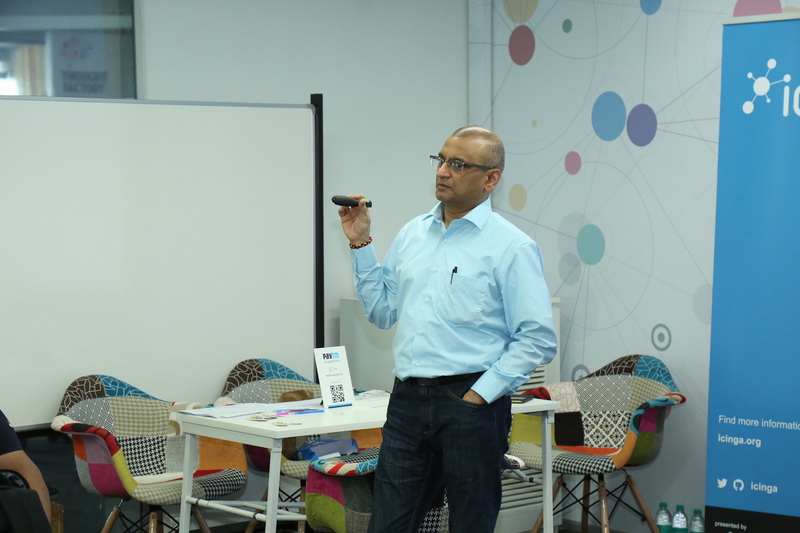 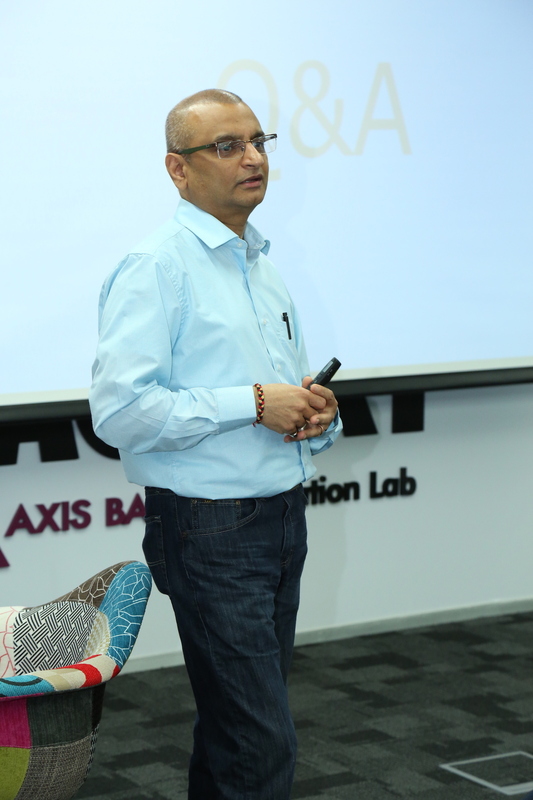 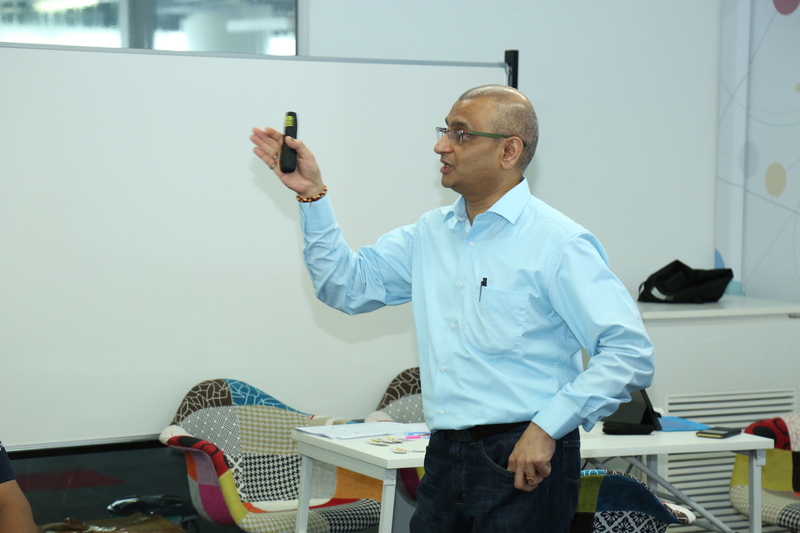 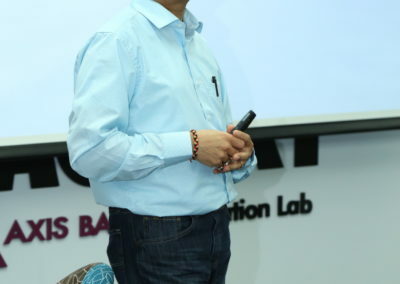 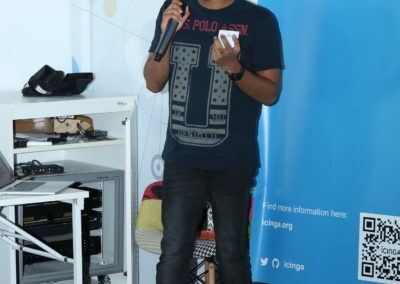 He has held various positions while an entrepreneur including engineering manager, application developer, project manager, IT security specialist and program manager for large IT initiatives. 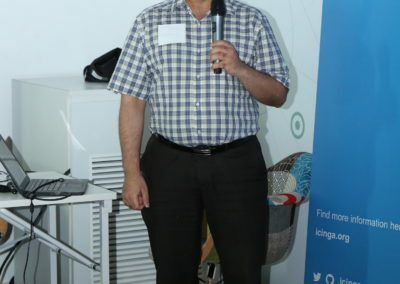 As a program manager and system integrator, he has managed large teams with budgets over $100 million, successfully rolling out large scale data center IT infrastructure projects. 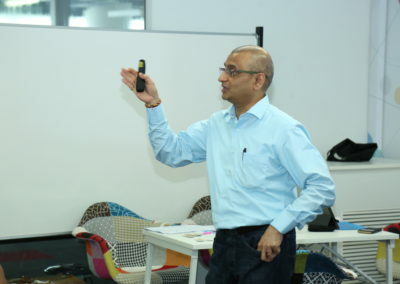 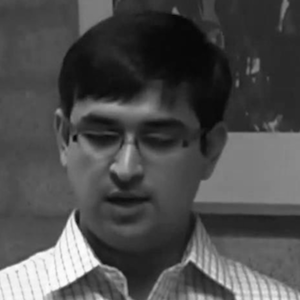 Hari holds a master’s degree in chemical engineering (with a specialization in computer-aided simulation and modeling) from the Indian Institute of Technology in Chennai, India. 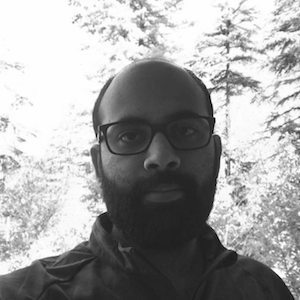 Hari is NJ certified EMT volunteer with EMS Plainsboro, NJ. 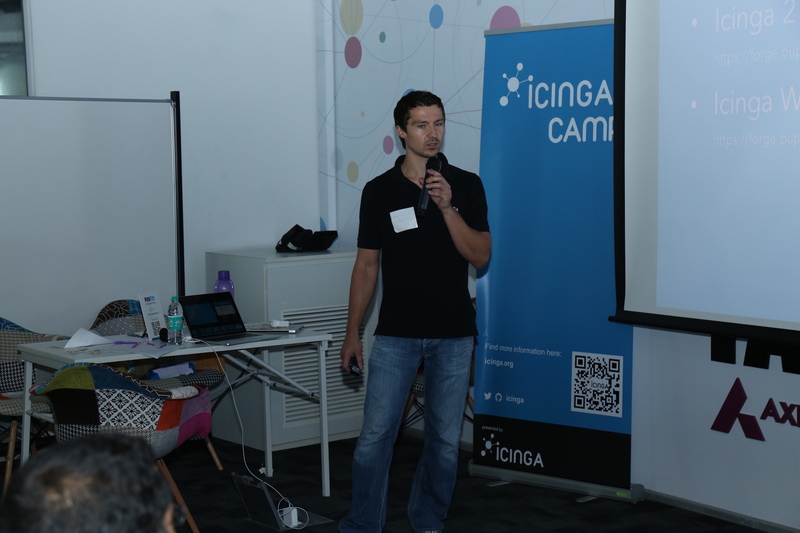 Icinga is a resilient, open source monitoring and metric solution. 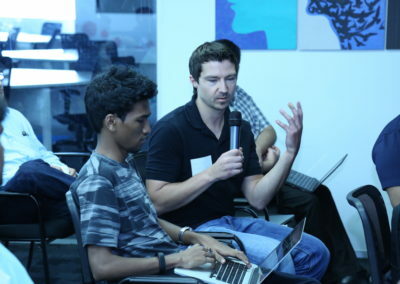 It provides powerful REST API to interact with. 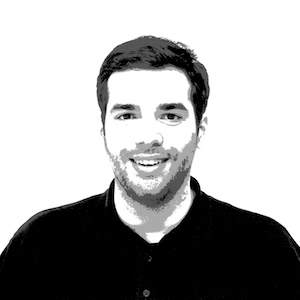 This API allows most of the configuration and UI actions. 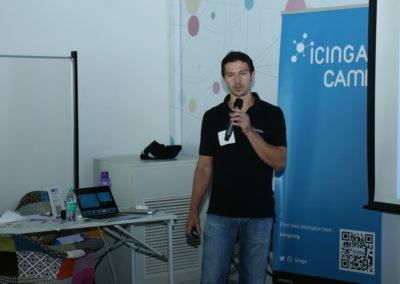 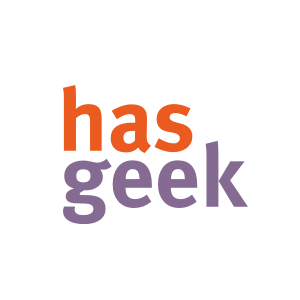 This talk will focus on a brief walk through of icinga2 basics – just enough to know how checks are executed and then move on to the more interesting use cases for which icinga2 has been used at BlueJeans Network. 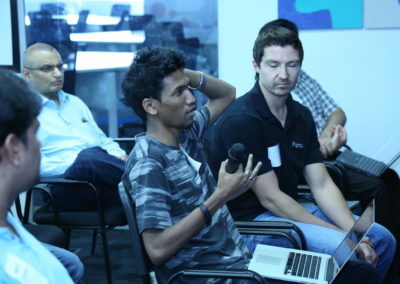 Roy is currently working as a DevOps Engineer at BlueJeans. 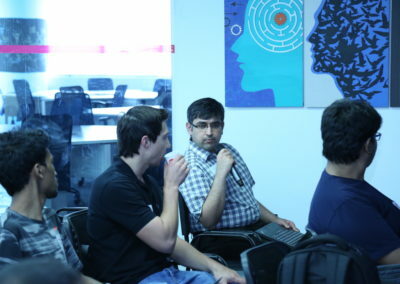 He enjoys working on Linux and on infrastructure automation. 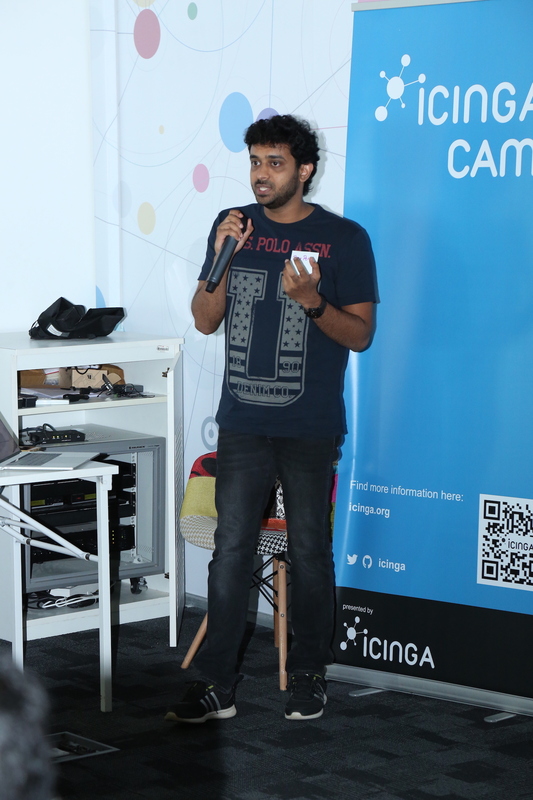 He’s also an electronics enthusiast and likes tinkering around with robotics and IOT related development boards. 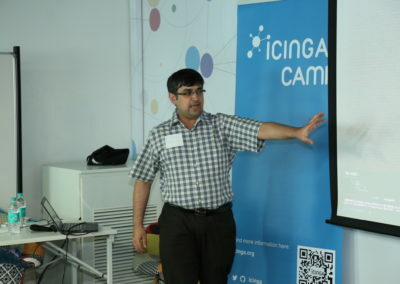 The presentation will talk about Icinga2 and how we migrated from Nagios/Icinga to Icinga2 and how we can manage new machines with Icinga2. 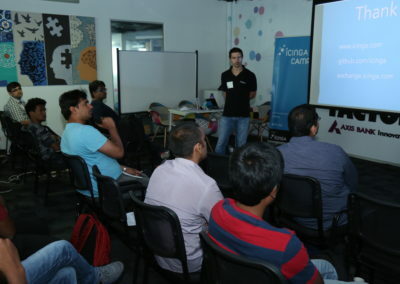 It will demonstrate basic Ansible usage and how to setup Icinga2 server components with a distributed zoning setup. 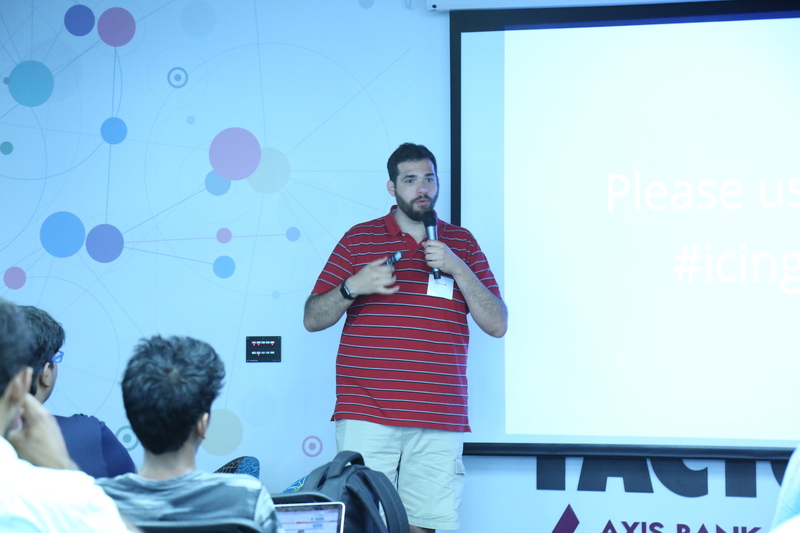 It will also show how to easily add nodes to servers, to this distributed zoned setup. 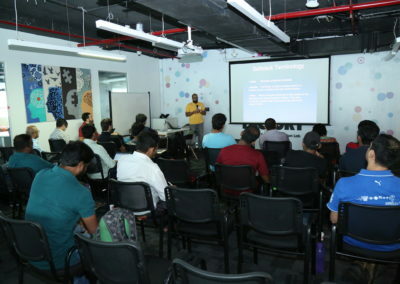 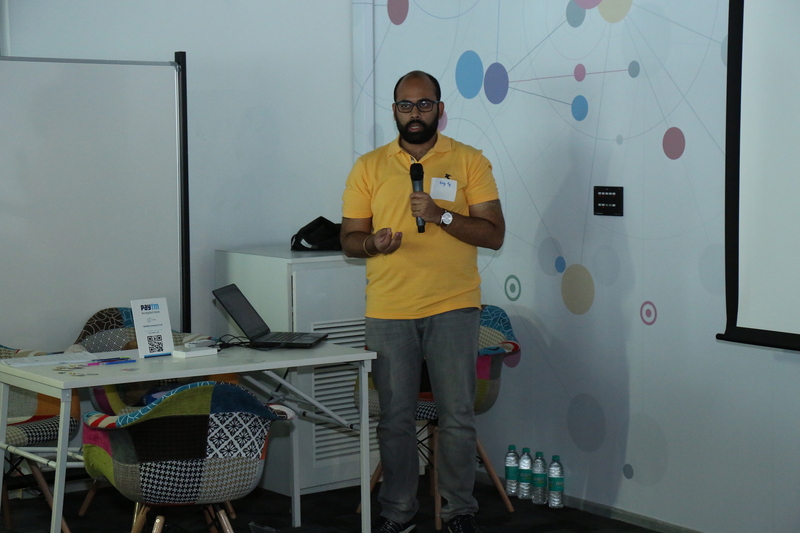 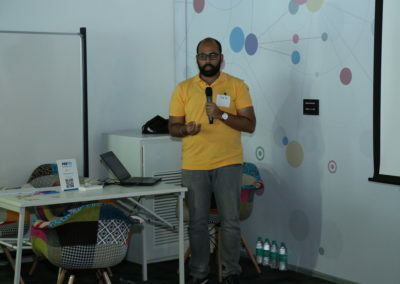 Toshaan Bharvani is a self-employed IT consultant, with a interest in Open Source Software, IT Security and IT Hardware. 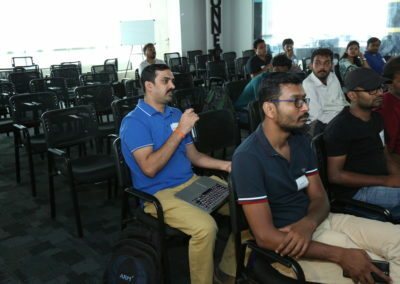 He has been interested in IT hardware and IT software. 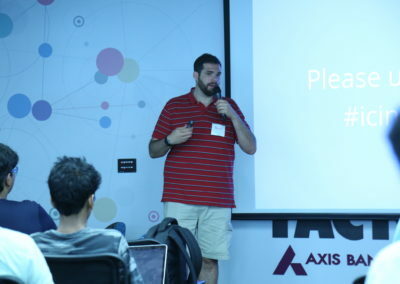 Toshaan has been involved for some time now in some open source projects and communities. 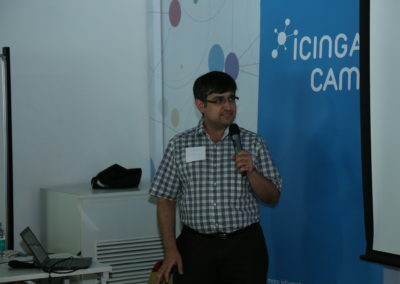 He frequently speaks at different international conferences and helps organizing some. 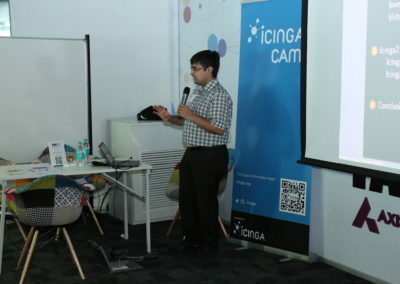 Automated installation and registration of services of each node in Icinga using saltstack states and modules is something which helped a lot when creating our private cloud from scratch and spawning thousands of VMs. 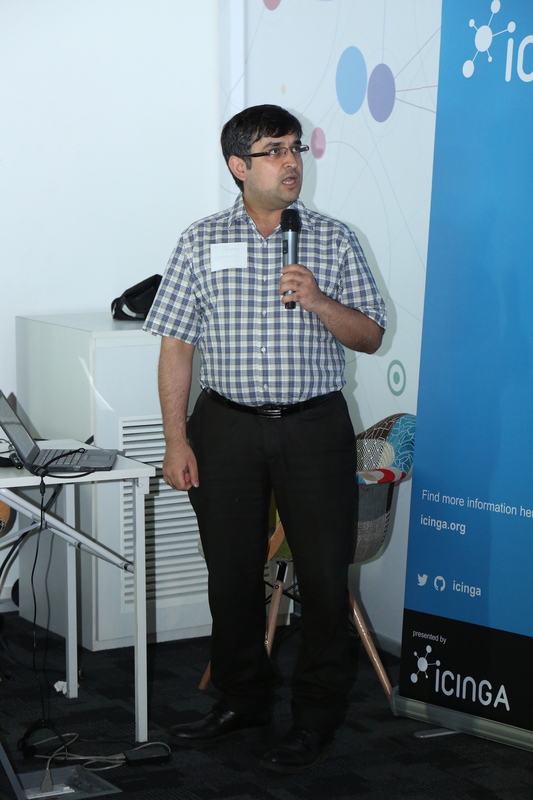 The talk would include a description of our implementation and the plans we have for this automated registration process. 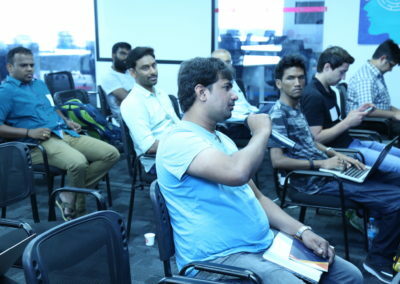 As is true for most of the things of this size, we faced problems too, which would be presented as well. 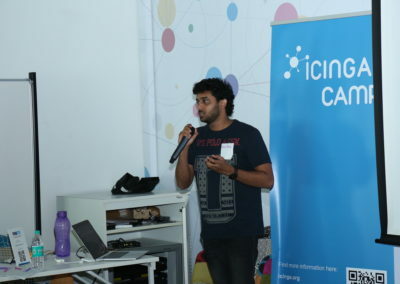 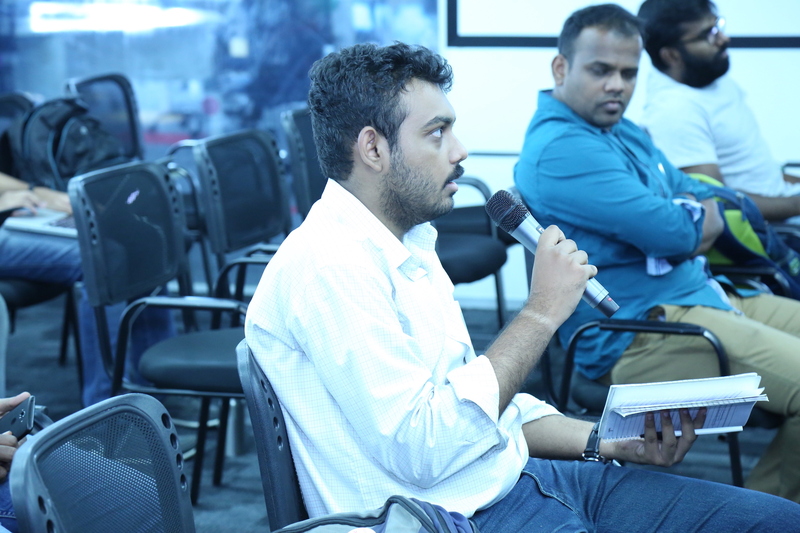 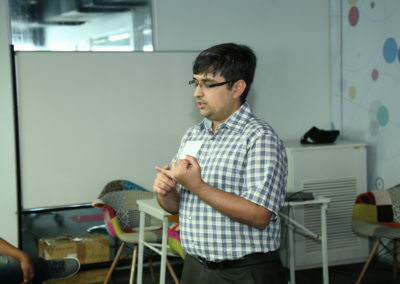 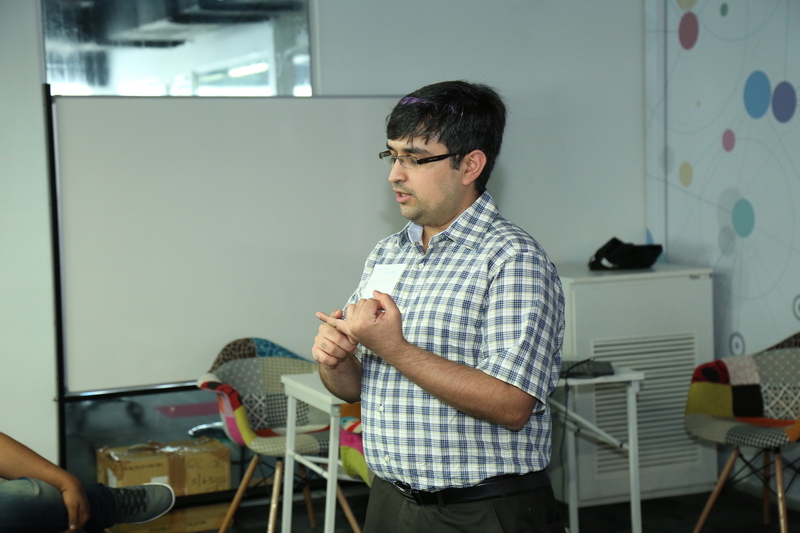 Aditya Raj, working in Snapdeal, an e-commerce marketplace. I am working as a DevOps Engineer, and handling the monitoring flow. 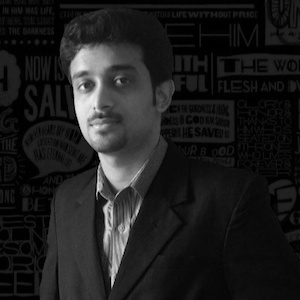 I spend my free time with anime and F.R.I.E.N.D.S. 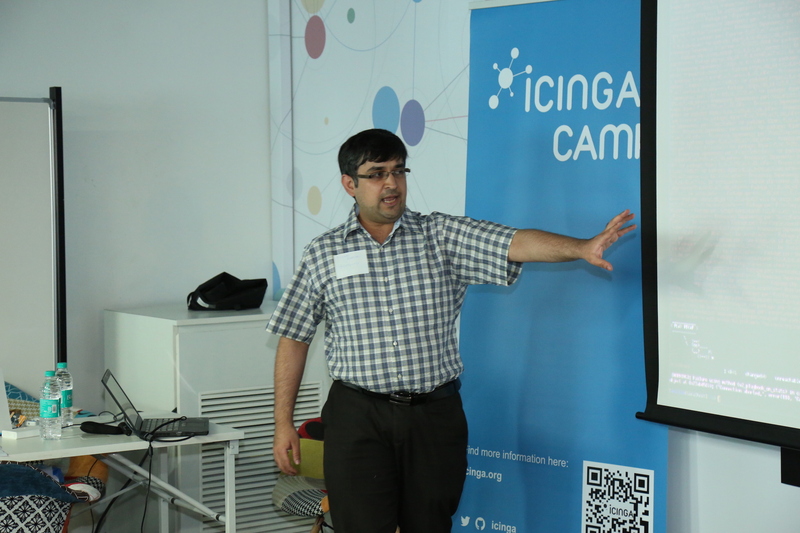 What’s next after building your monitoring stack with Icinga 2, Icinga Web 2 and check plugins? 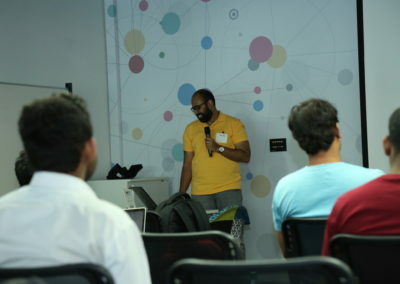 This talk will dive into possible integrations already available or currently in development. 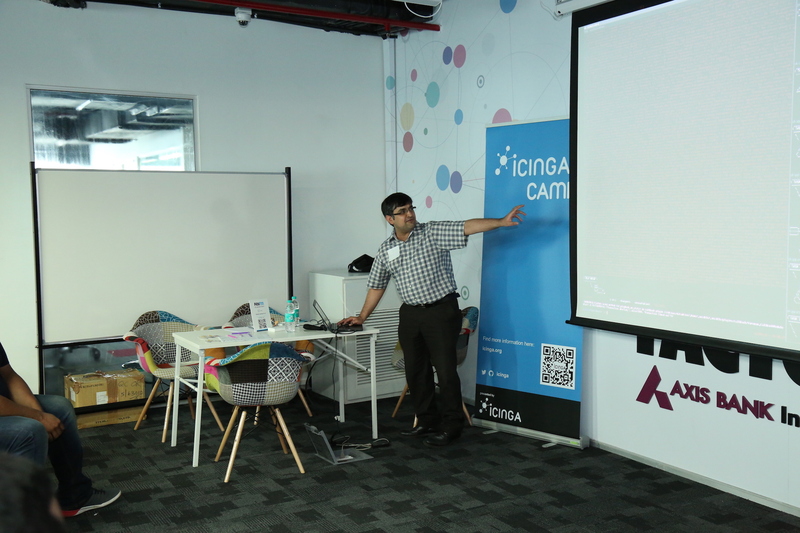 Visualize the current monitoring state with beautiful dashboards in Icinga Web 2 and Dashing. 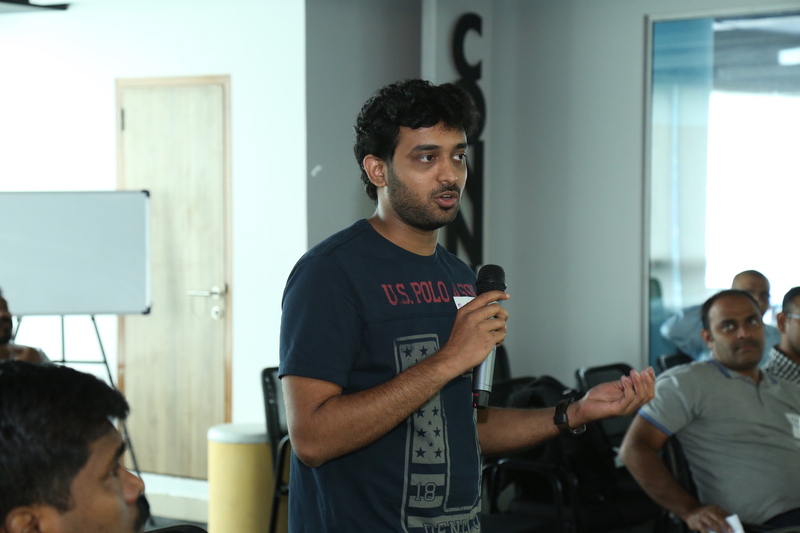 Forward your check metrics to Graphite or InfluxDB and visualize them with beautiful Grafana dashboards. 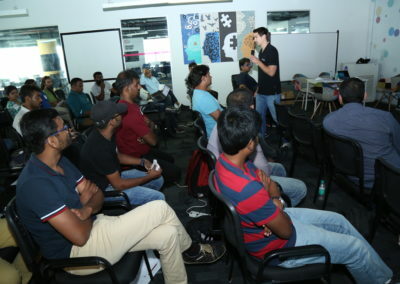 Dive into the capabilities of event messages forwarded into your Elastic Stack environment. 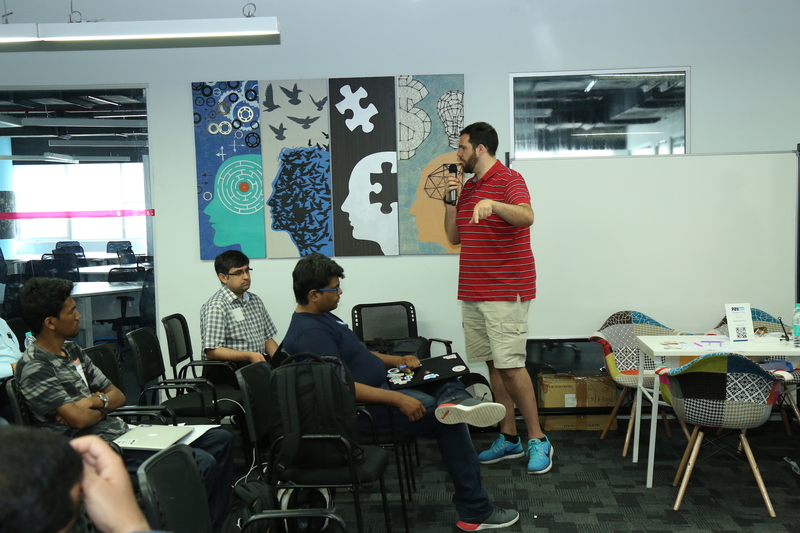 Include configuration management and notification handling. 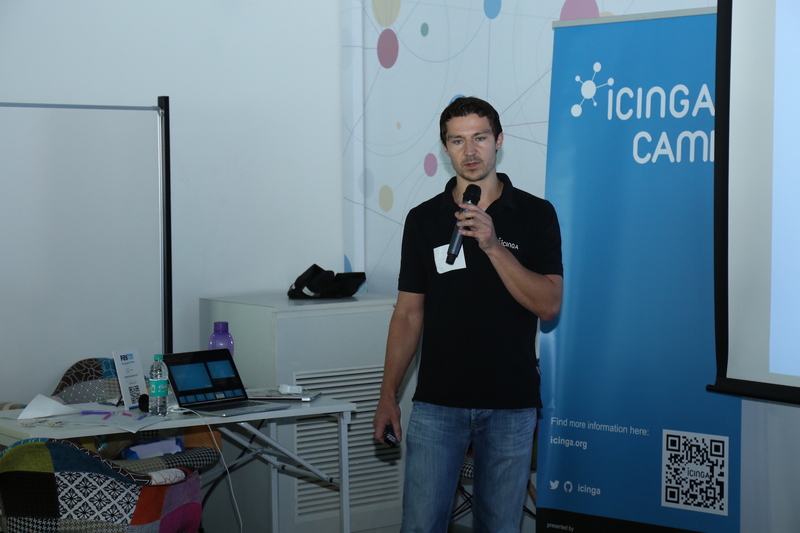 We’ll also have a look into the current state of the icingabeat integration and the Icinga 2 Puppet and Chef modules. 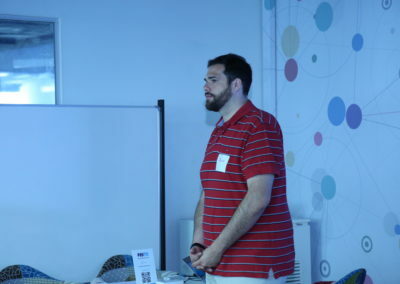 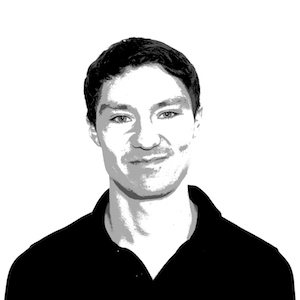 Markus works as Senior Consultant and Trainer @NETWAYS, an open source service company in Germany. 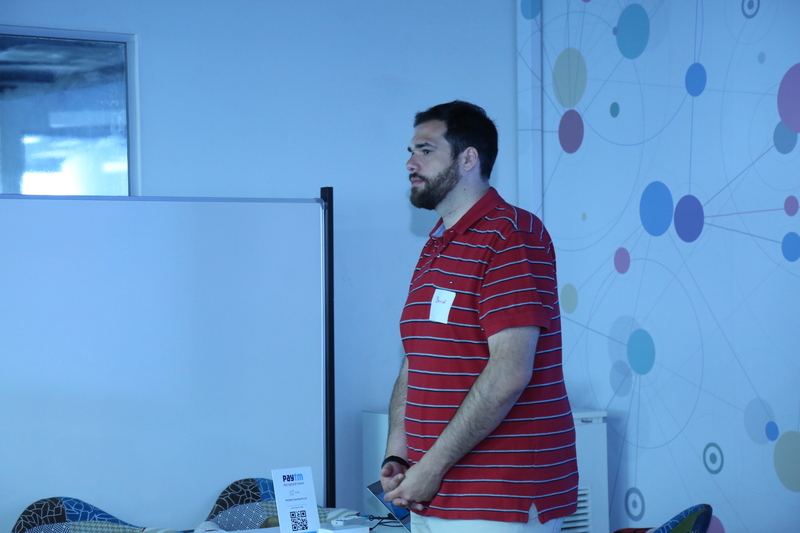 Before hiring at NETWAYS he was self-employed and has been working as a system administrator. Since his start to working life, he’s dedicated to open source software. Located in the heart of Bangalore the Thought Factory offers the perfect environment for our first camp in India. 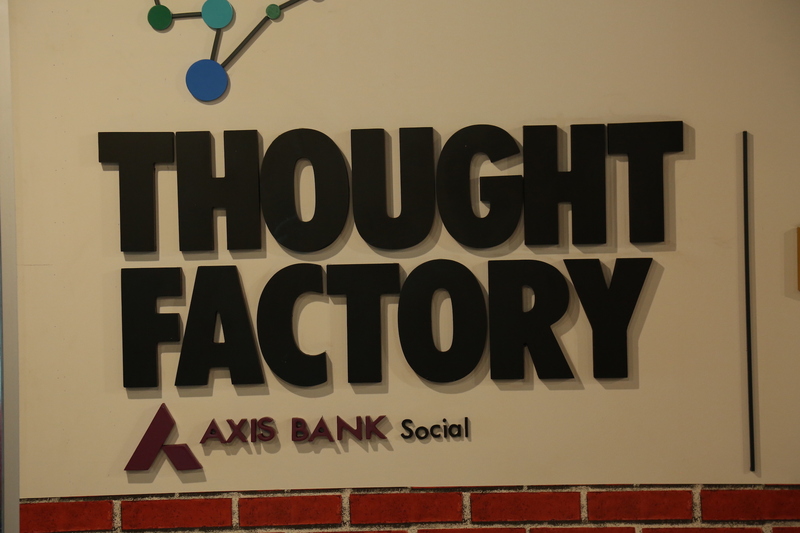 Find out more about the Thought Factory on their website.